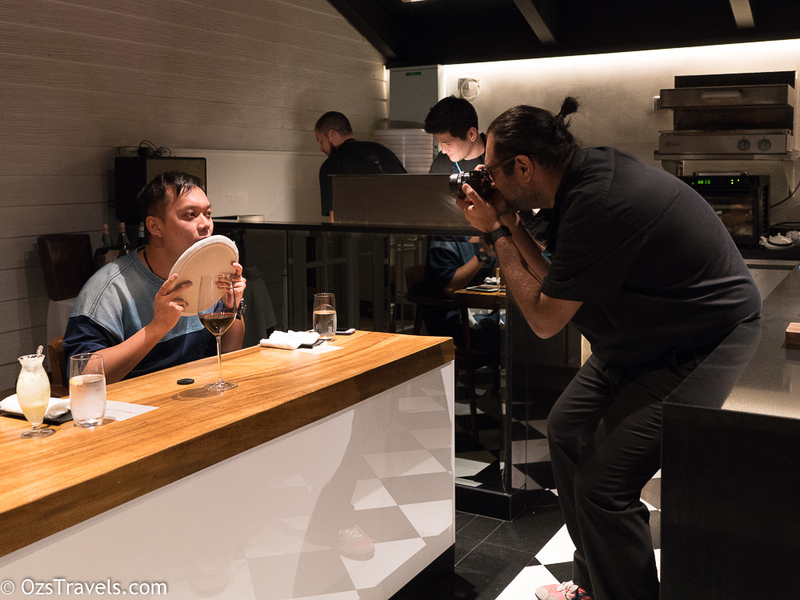 Another trip to Bangkok another dinner at Gaggan, it is a hard life! 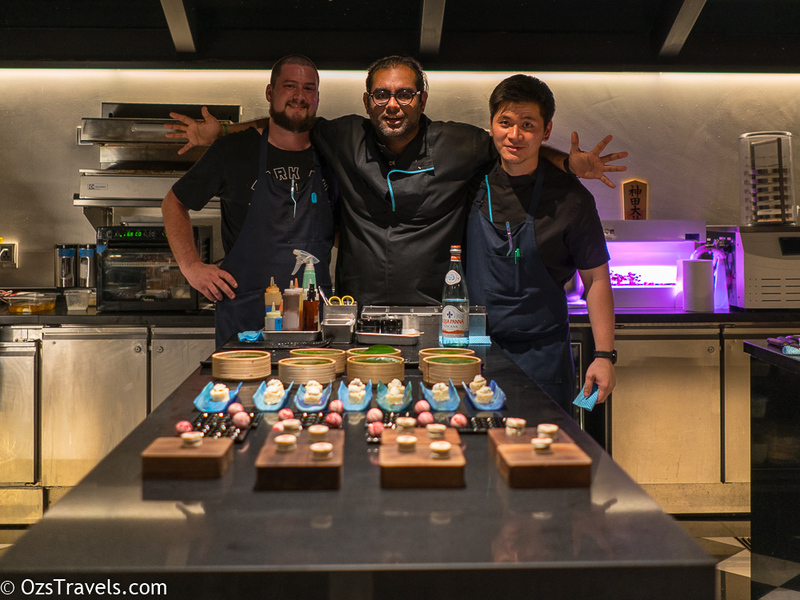 We were in the “Lab” again, the difference this time was we had the best seats in the house making it feel like we were right in the middle of a Circus Big Top and with Gaggan Anand the “Ringmaster” or is he the lead guide of a gastronomic expedition through India, Japan and Thailand. 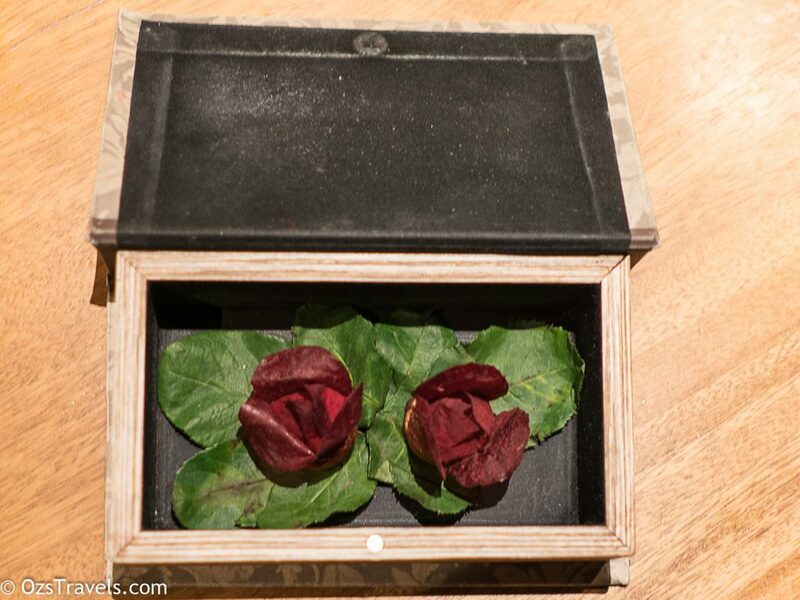 And something special for the Guest of Honour. 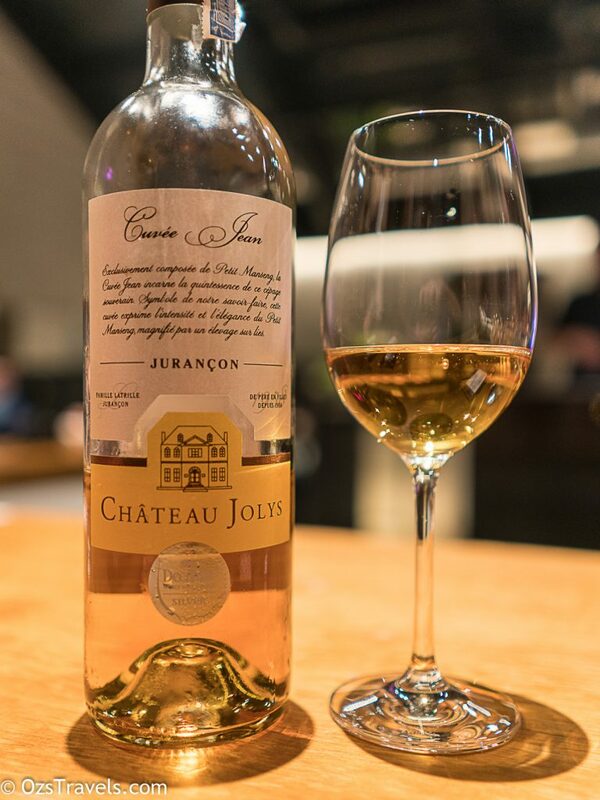 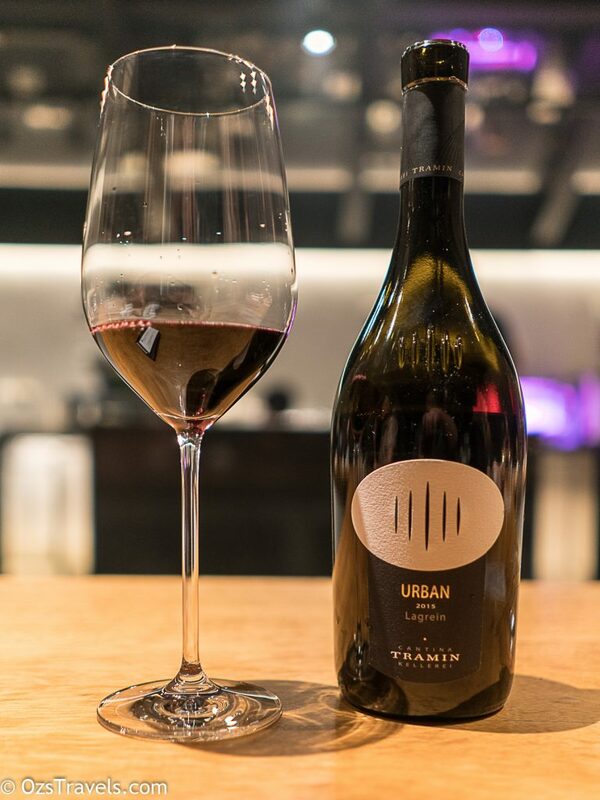 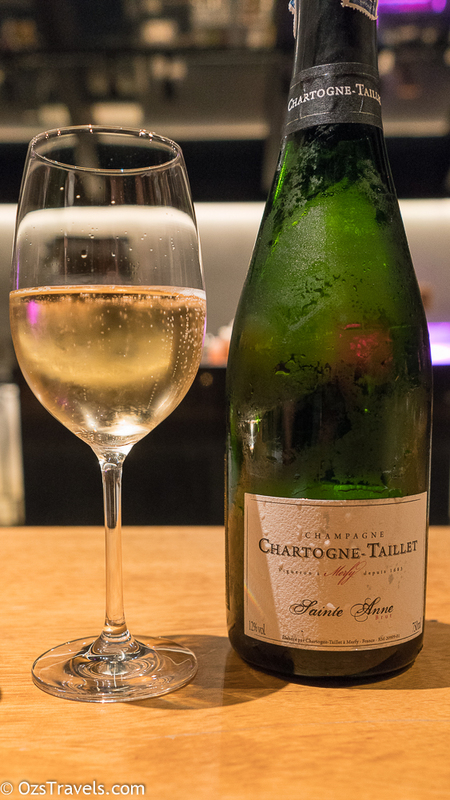 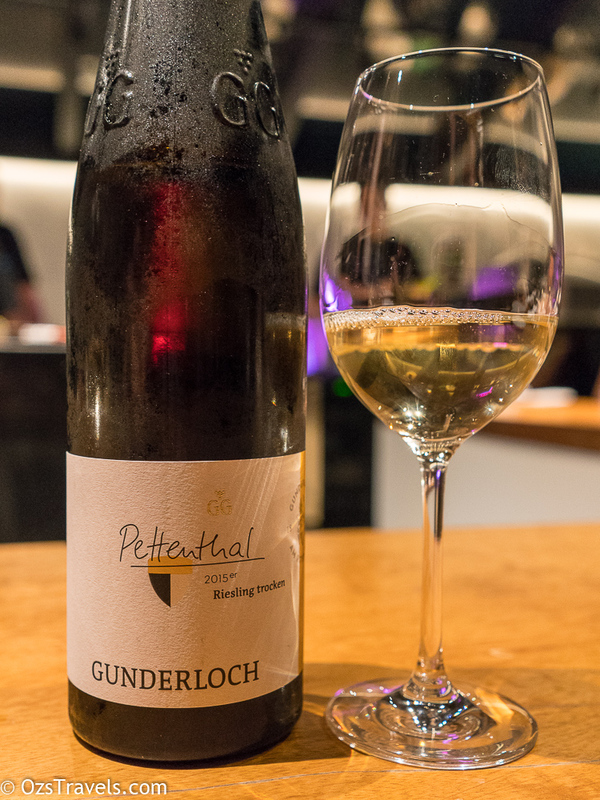 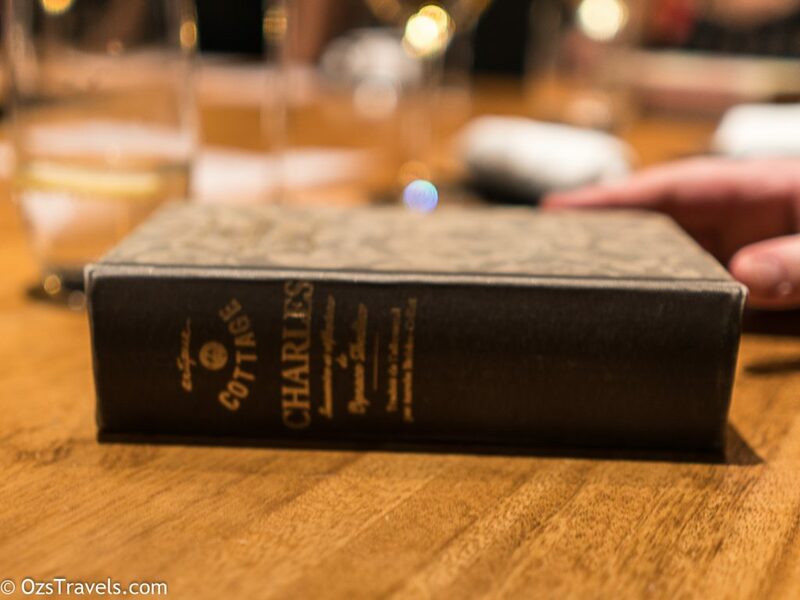 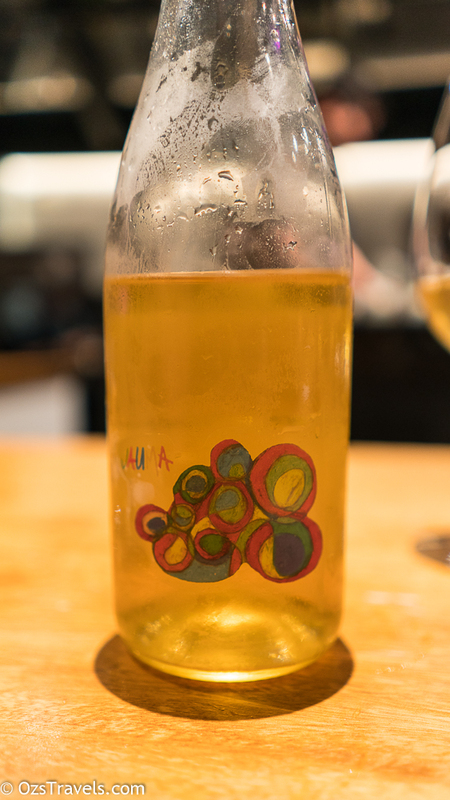 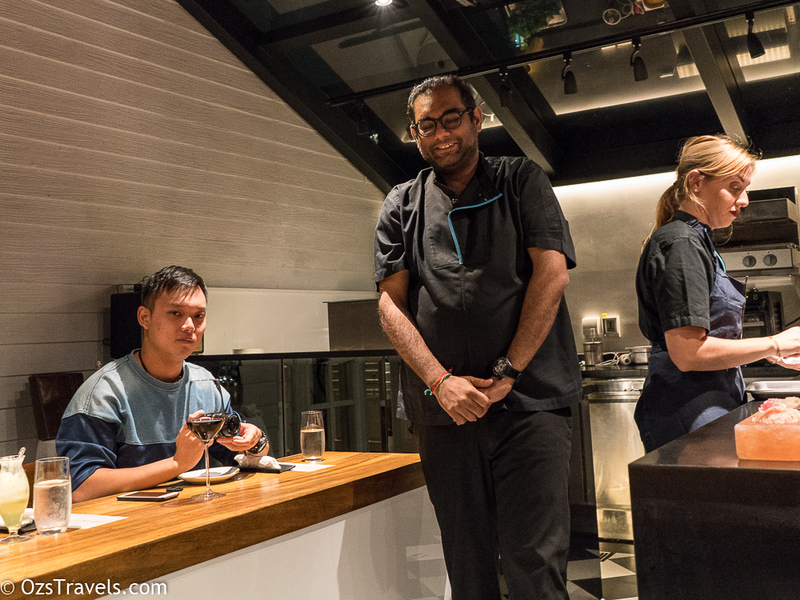 On a night like the one I had at Gaggan, there was no time to take detailed notes of the wines. 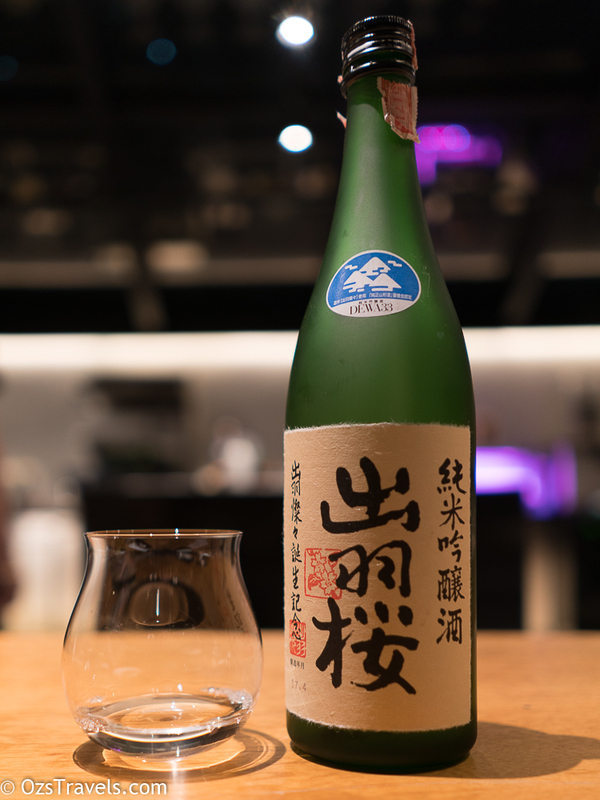 I enjoyed all of them, nicely chosen by the Som. 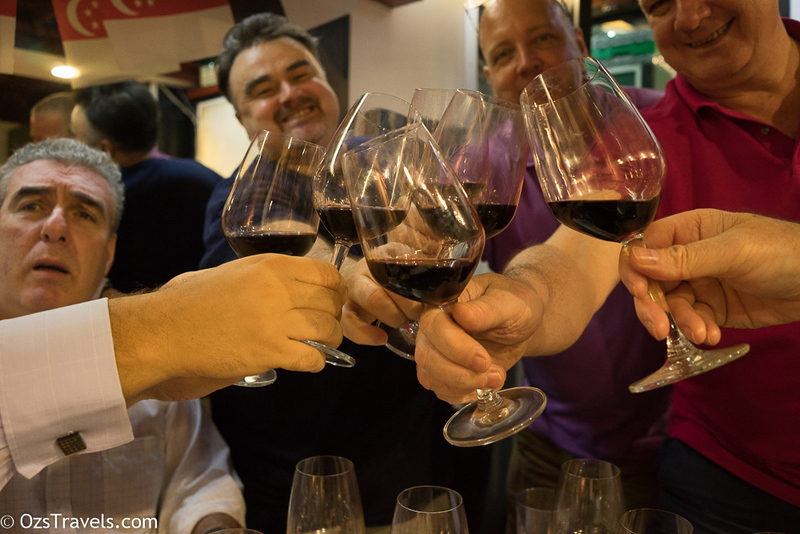 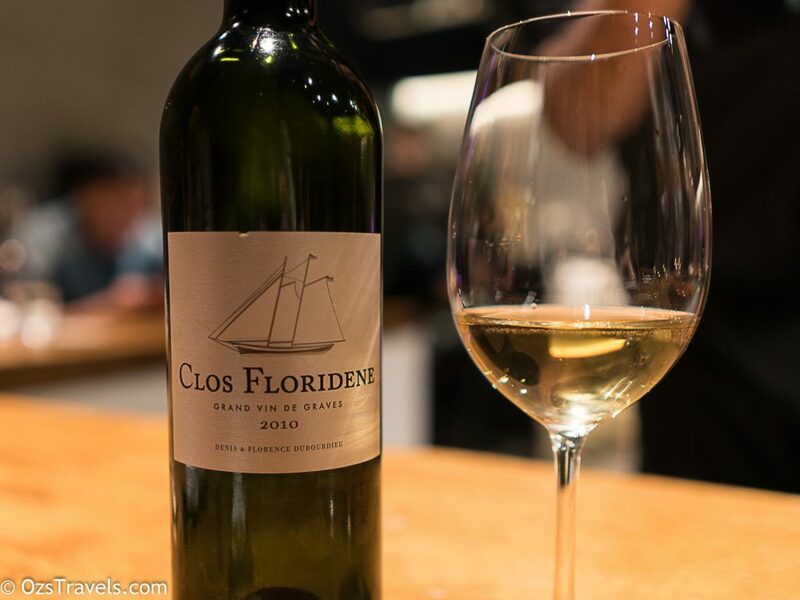 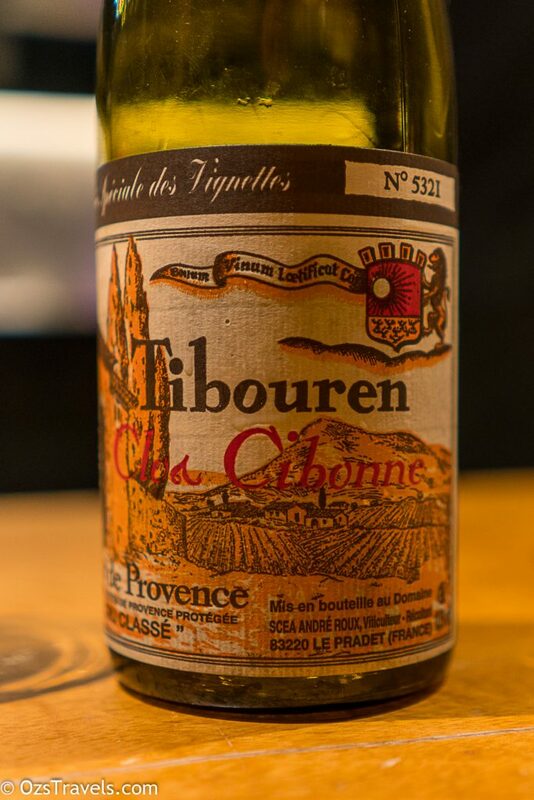 What I have just realised is that I tasted three new grape varietals, Tibouren, Lagrein and Petit Manseng, getting ever closer to the 100 varietal mark! 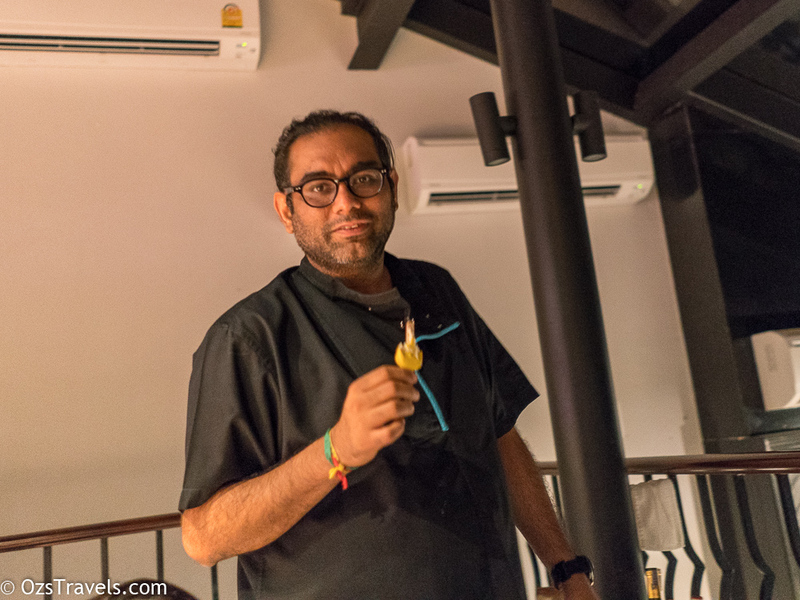 This was my 5th or 6th visit to Gaggan and was one of the more memorable due to Gaggan himself being in the Lab for most of the night. 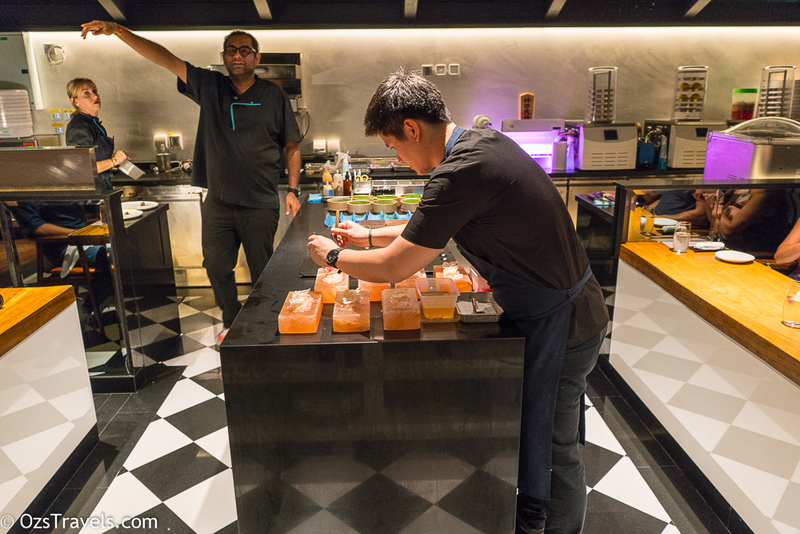 The crew who do the bulk of the work in the Lab kitchen as usual did a great job, preparing the food and keeping the night rolling on. 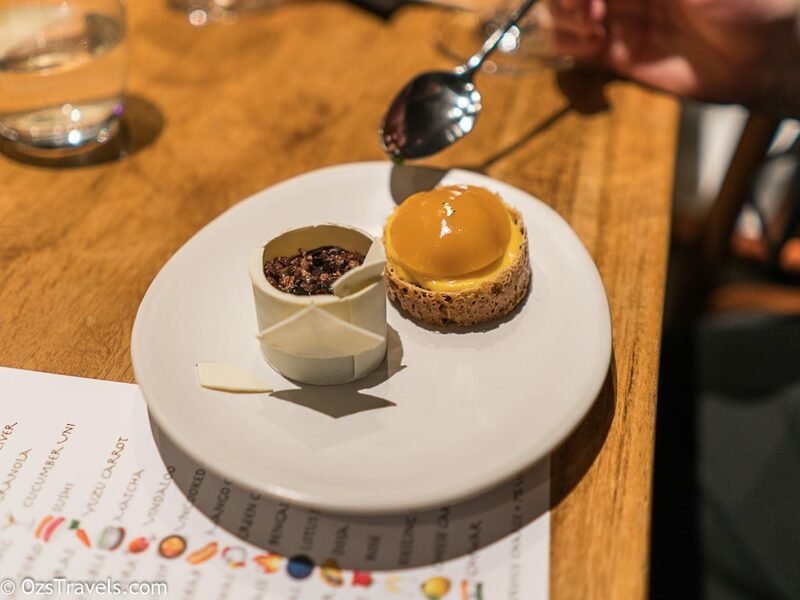 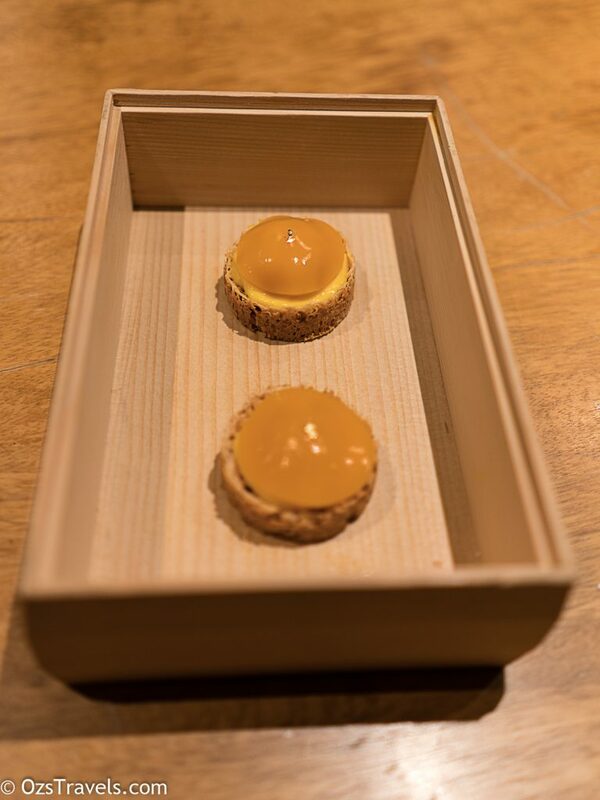 24 or 25 courses is a bit of a marathon, but is worth it, the portion sizes are about right to ensure you can finish each course and not be feeling to full by the end (well I didn’t). 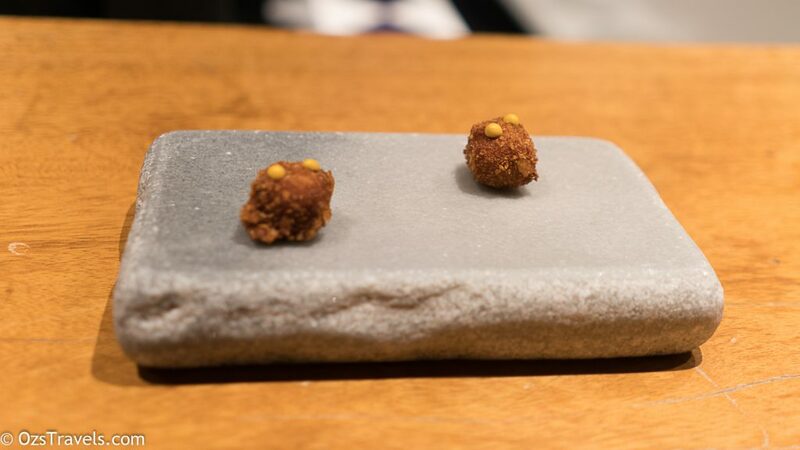 The quality of the food was, as usual excellent. 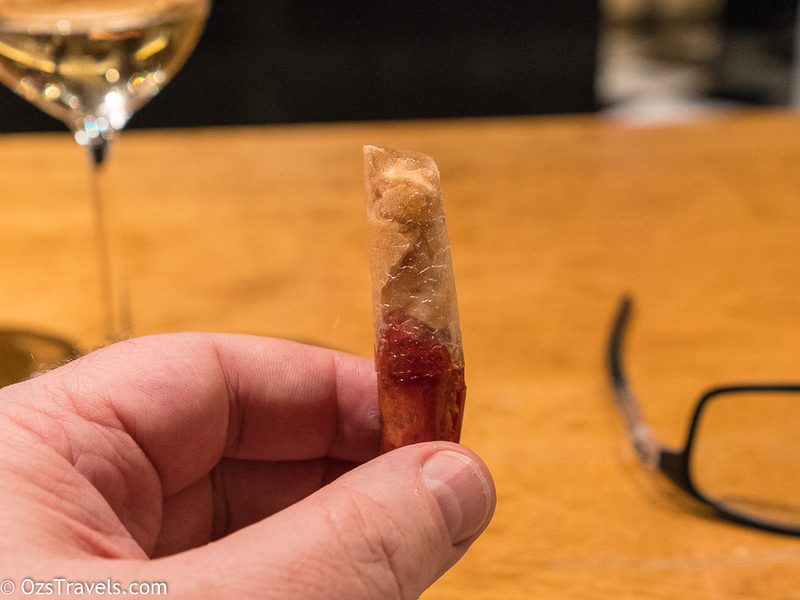 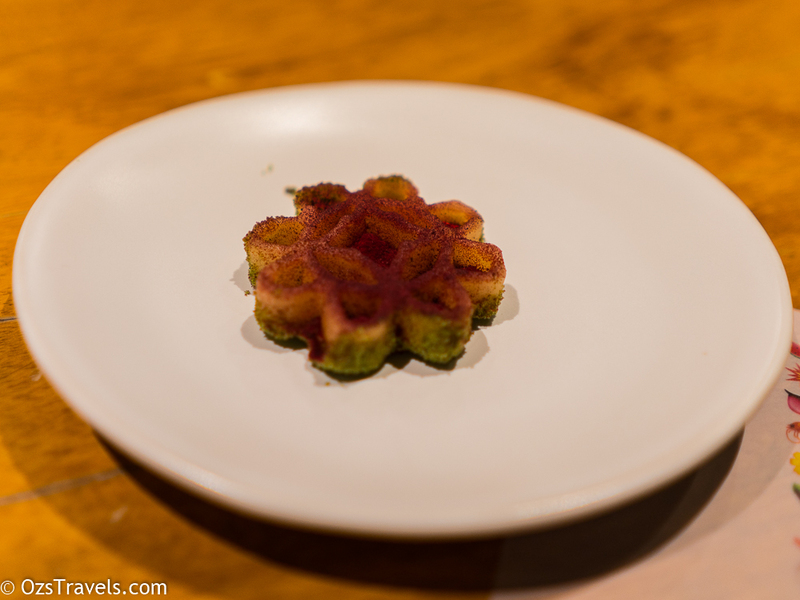 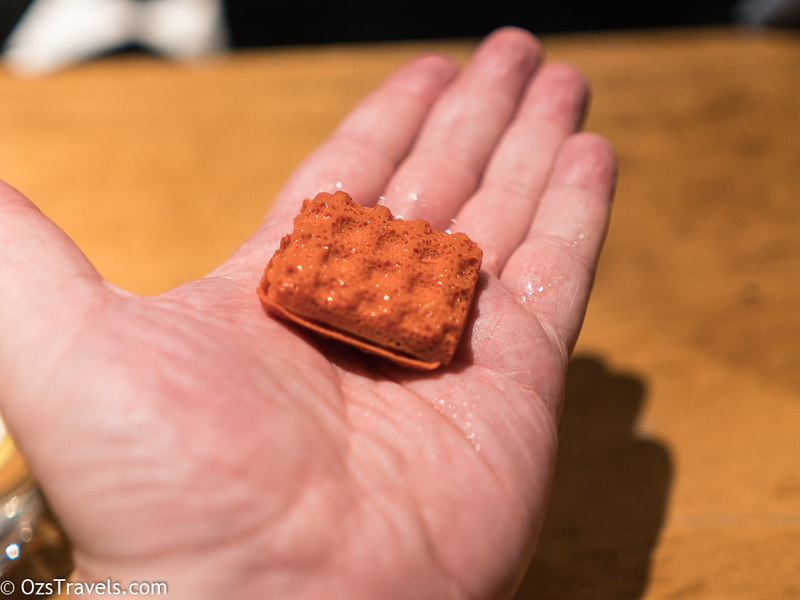 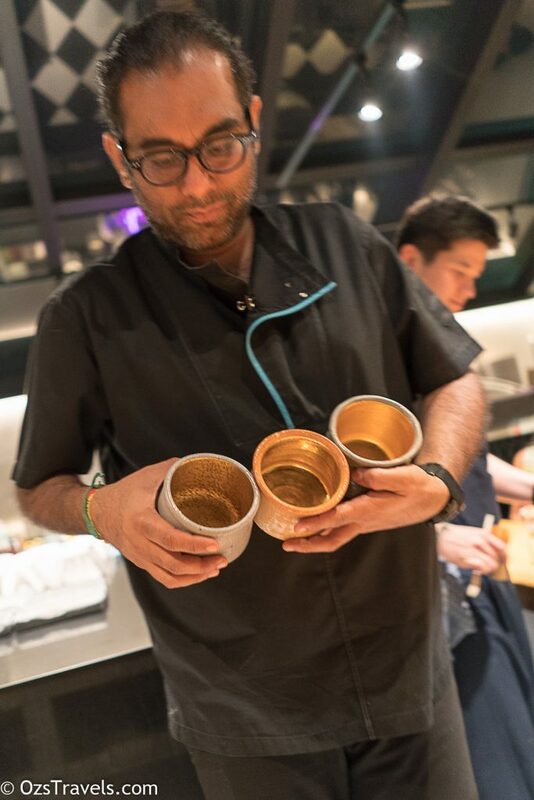 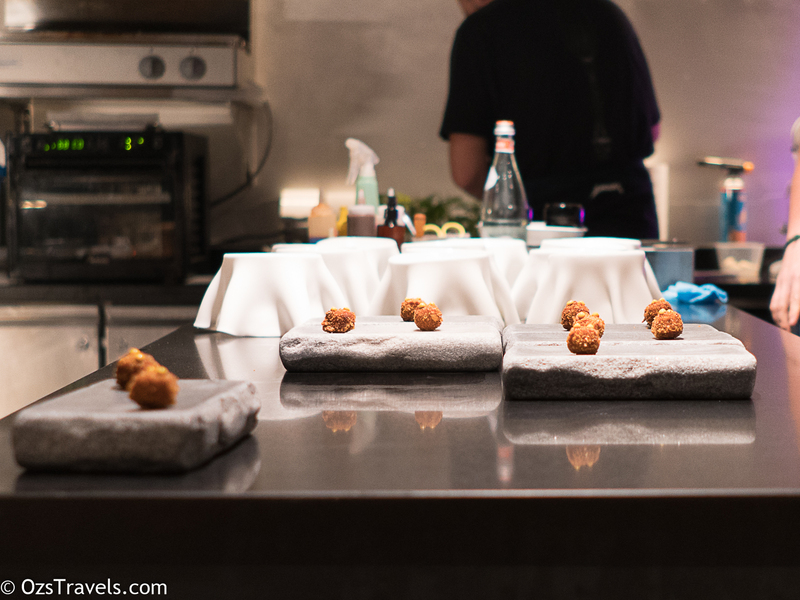 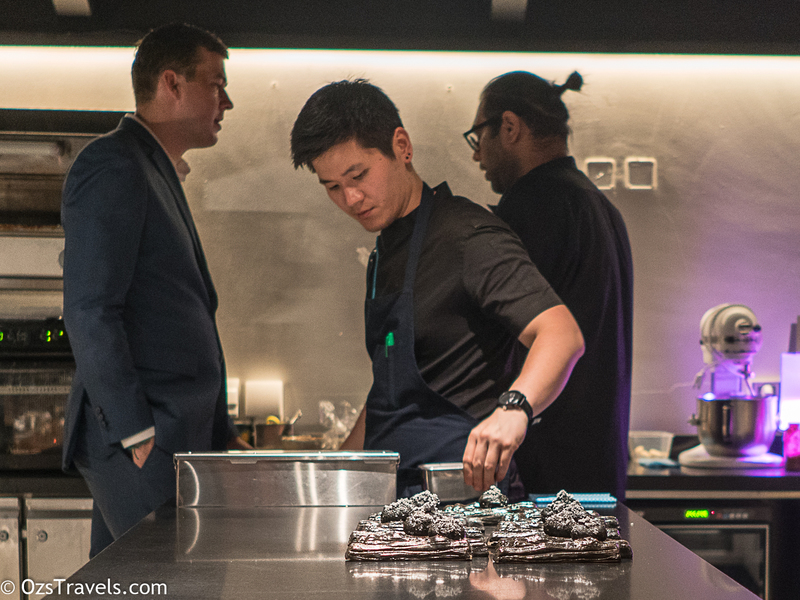 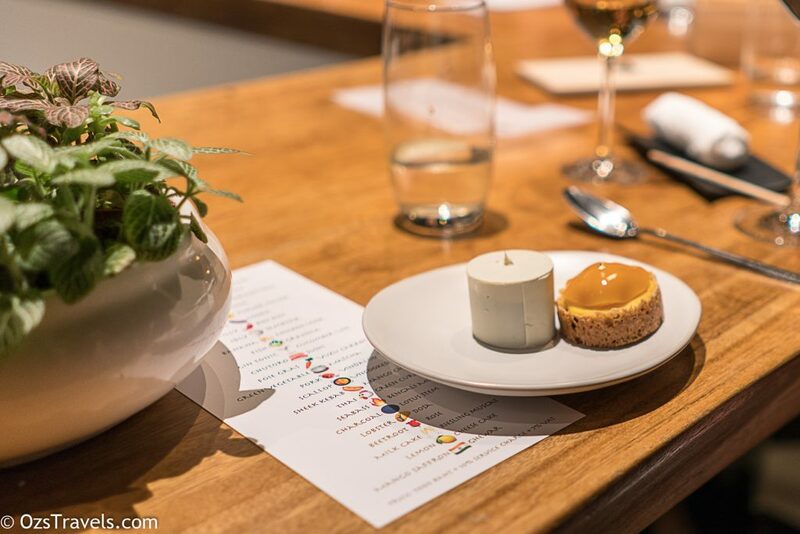 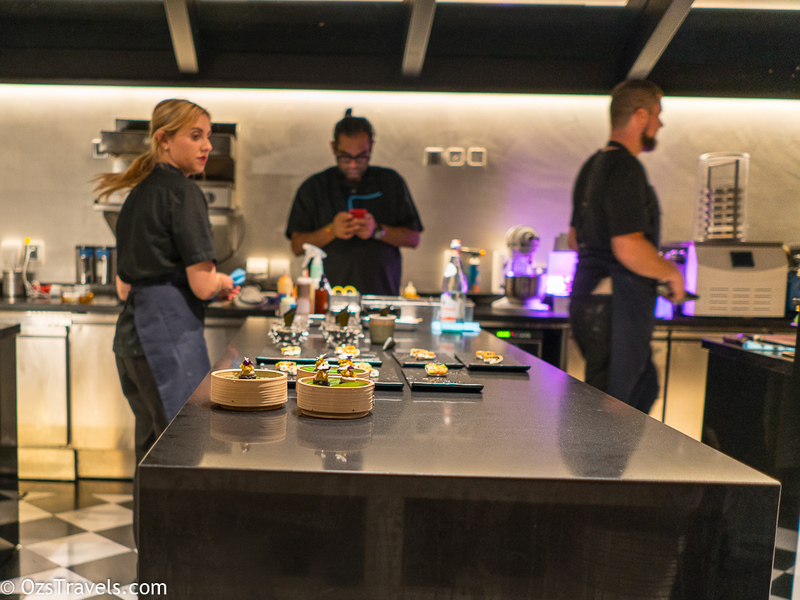 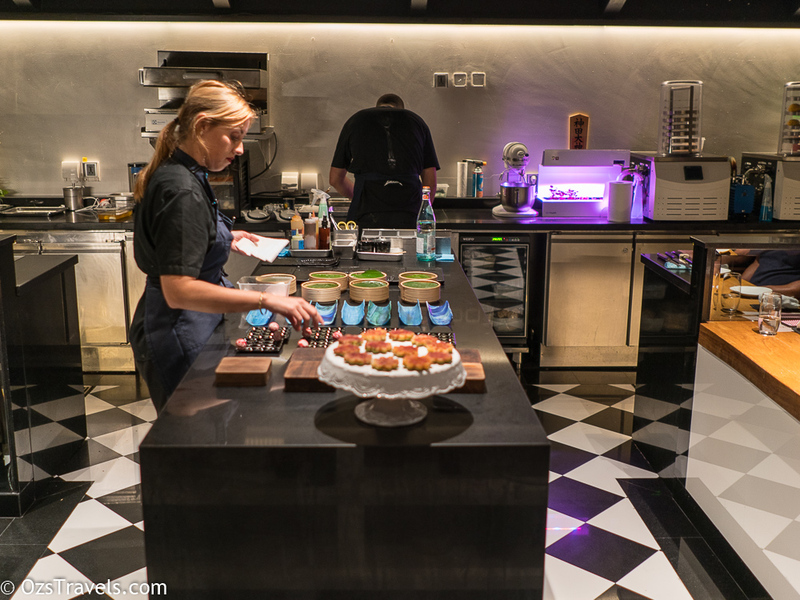 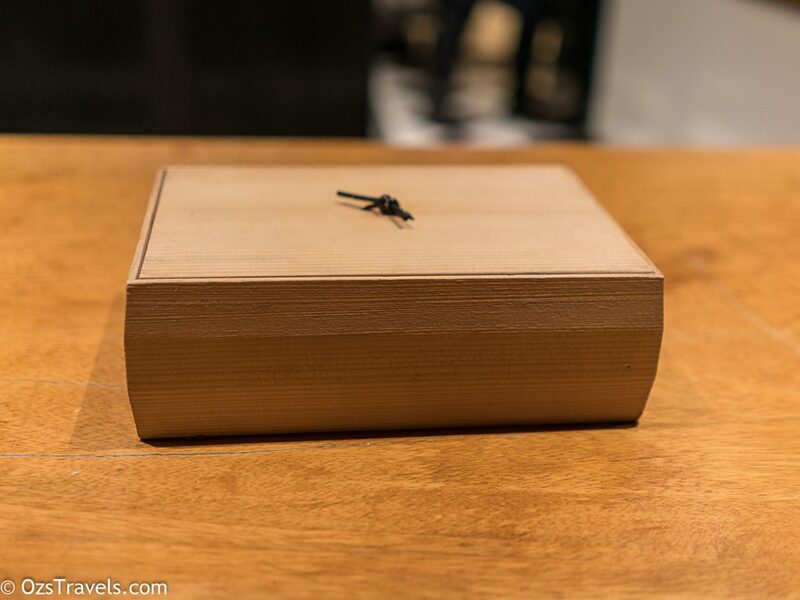 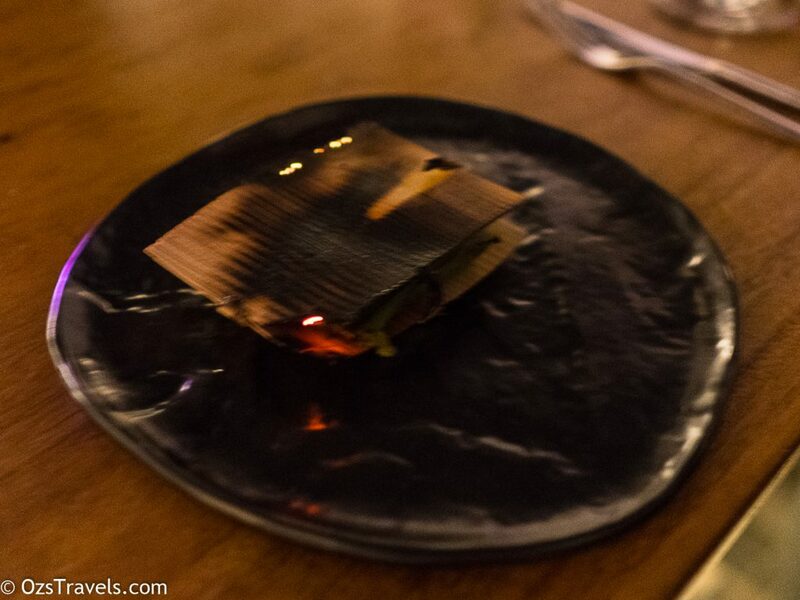 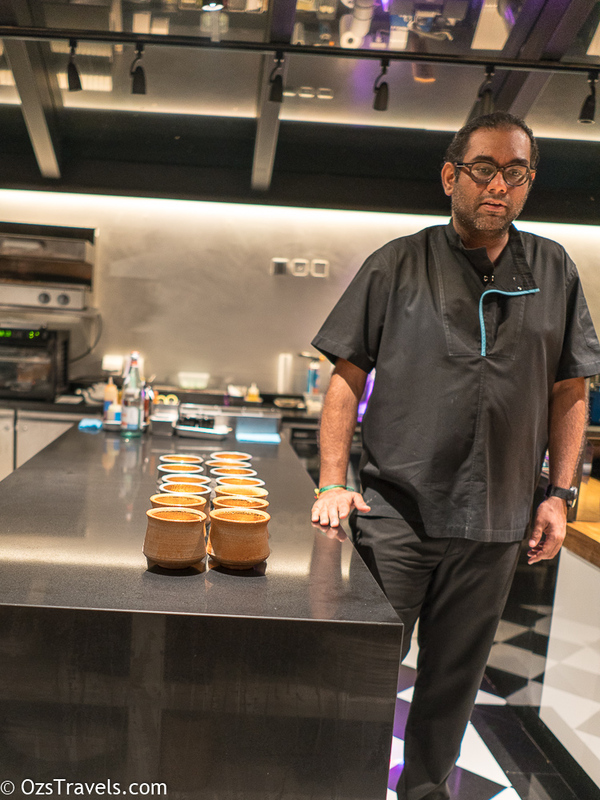 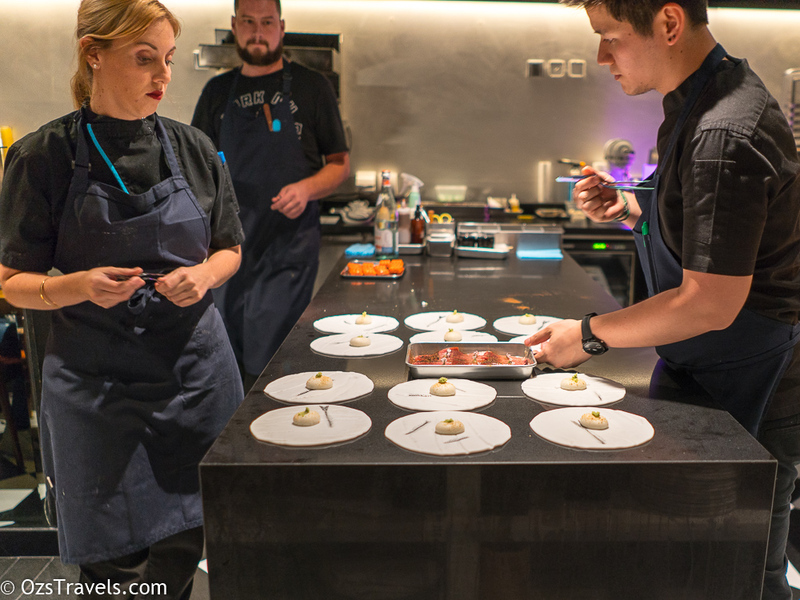 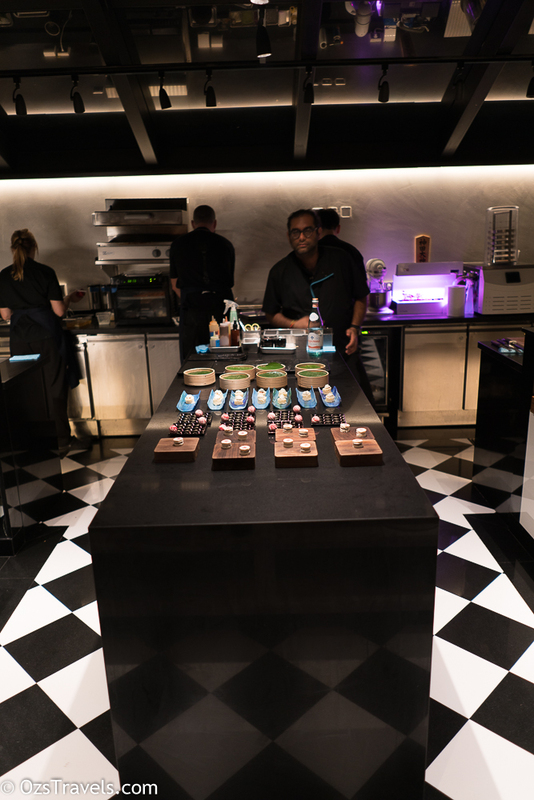 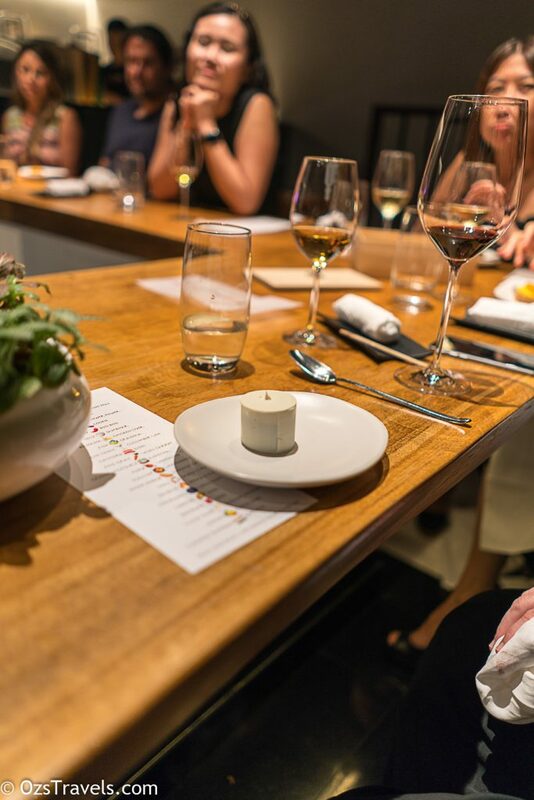 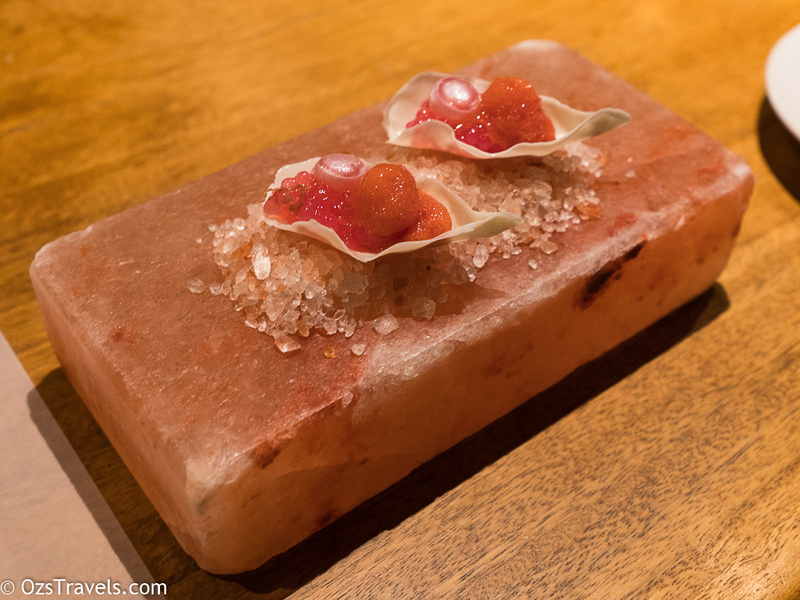 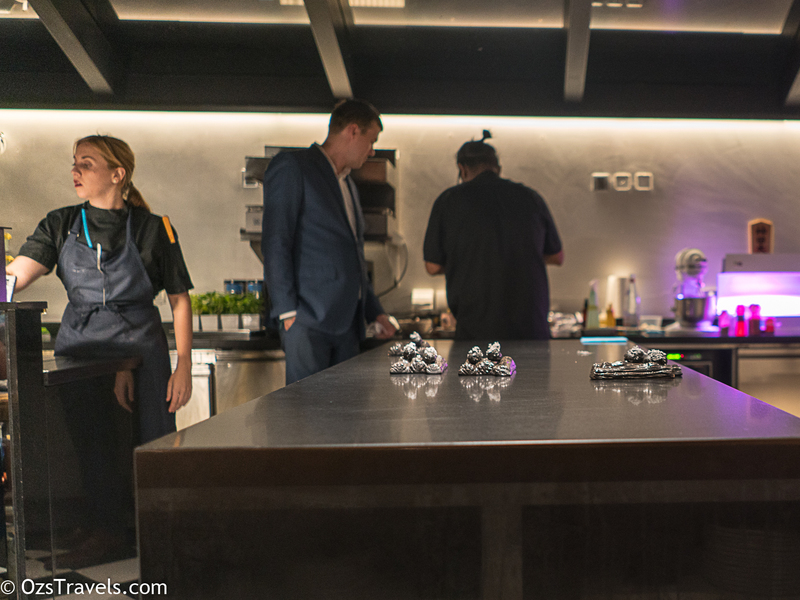 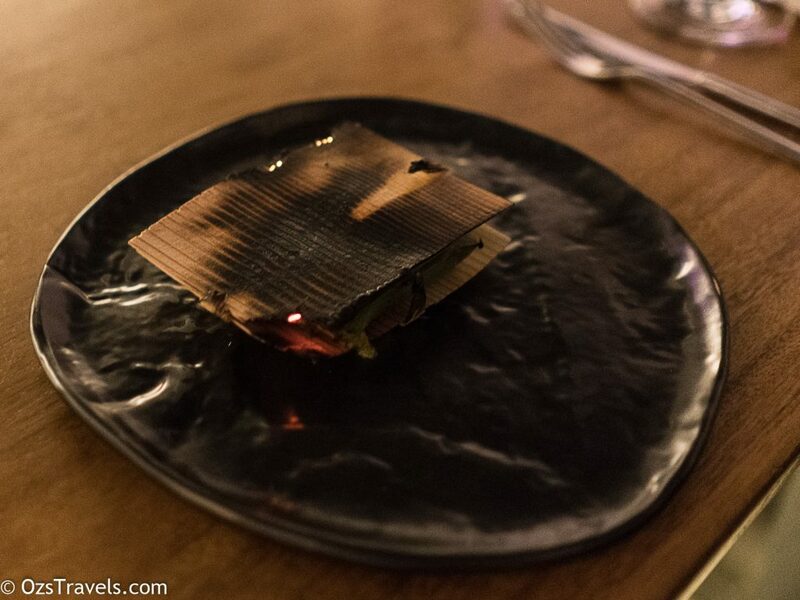 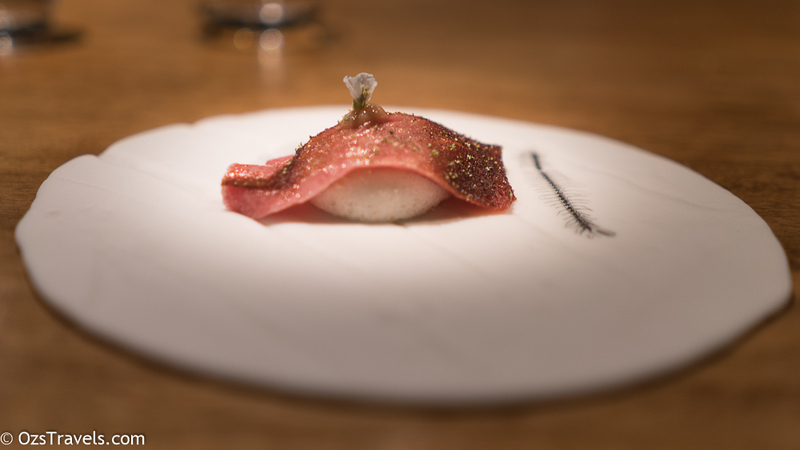 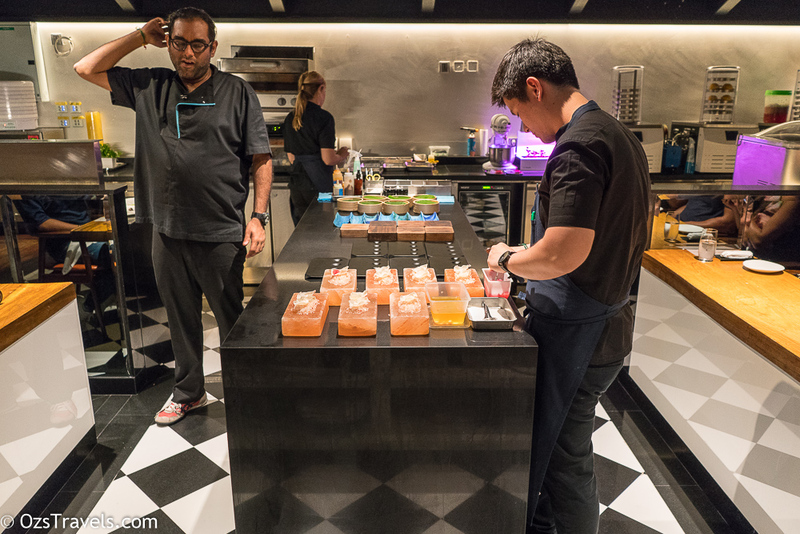 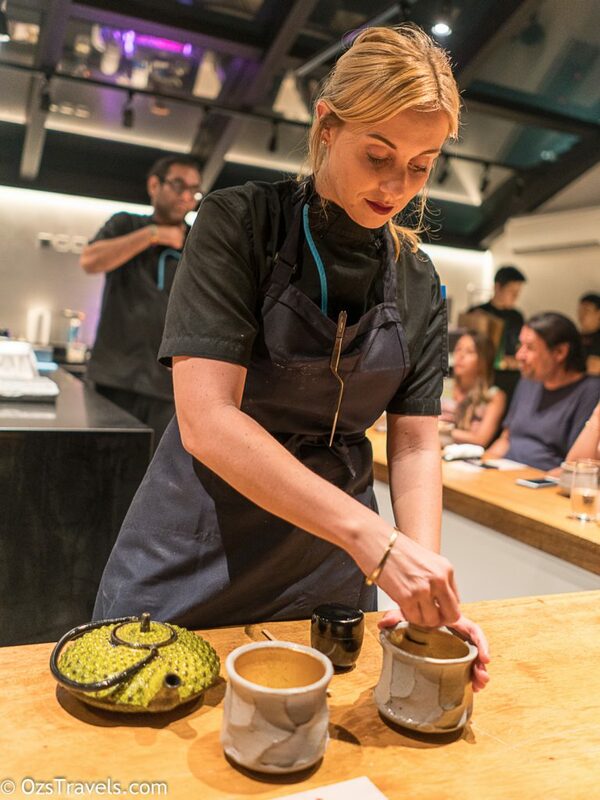 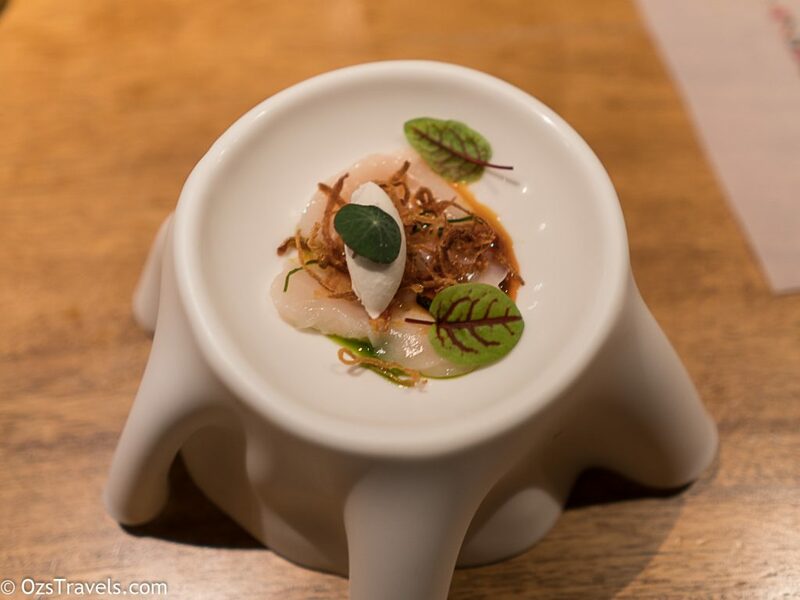 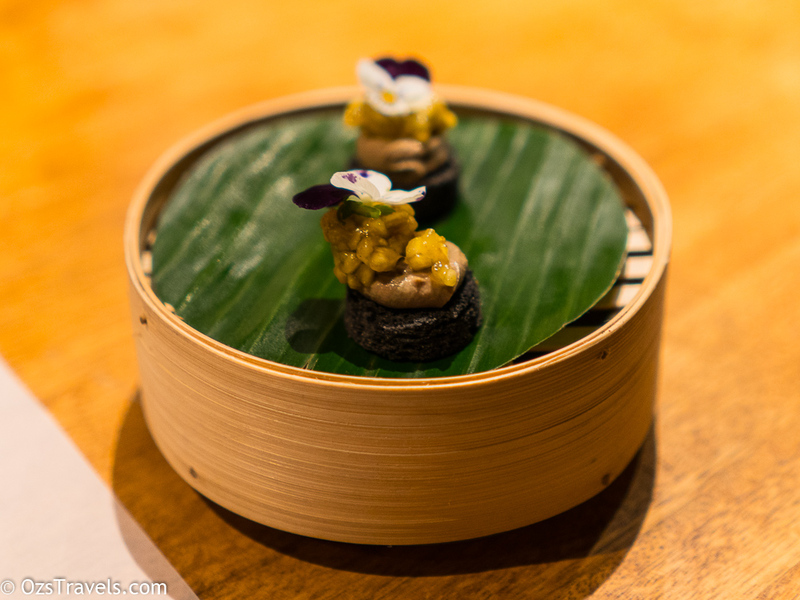 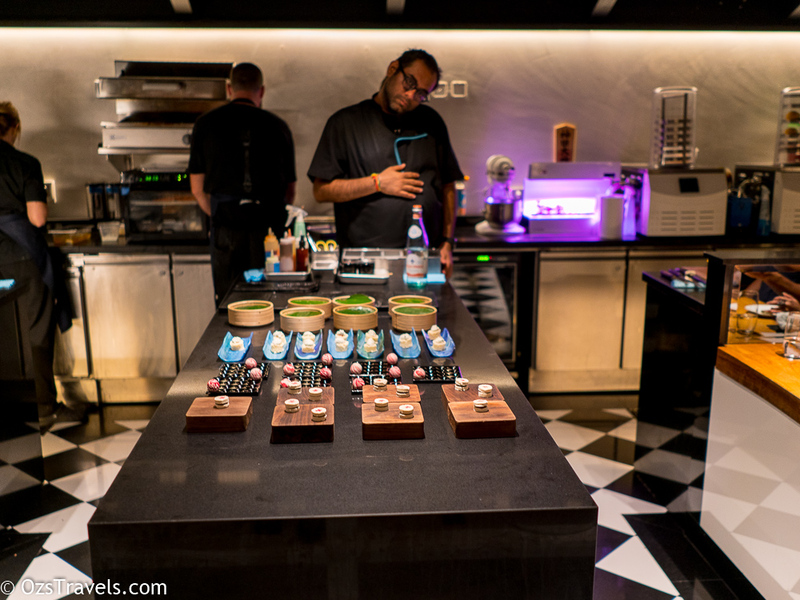 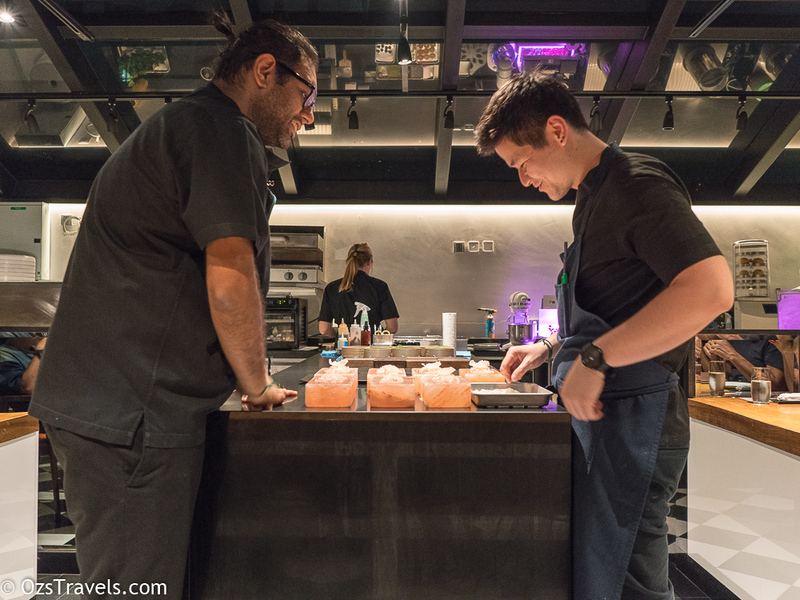 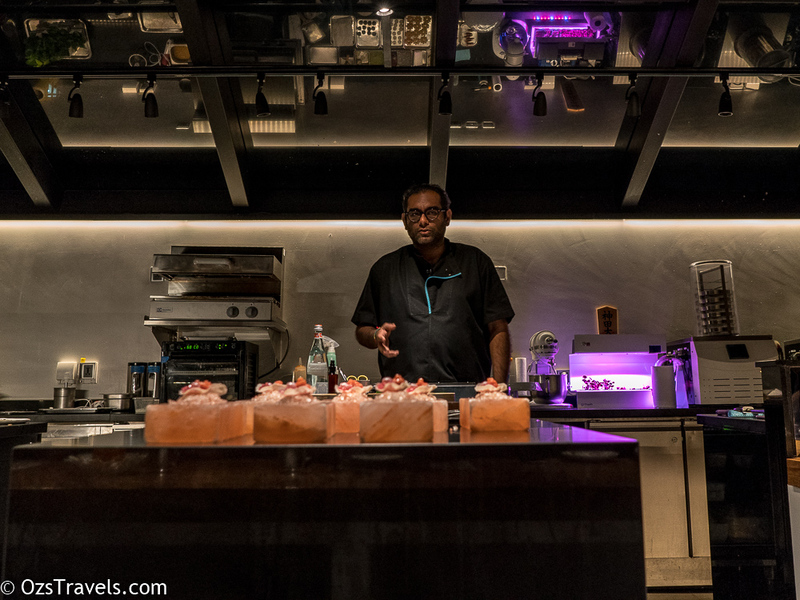 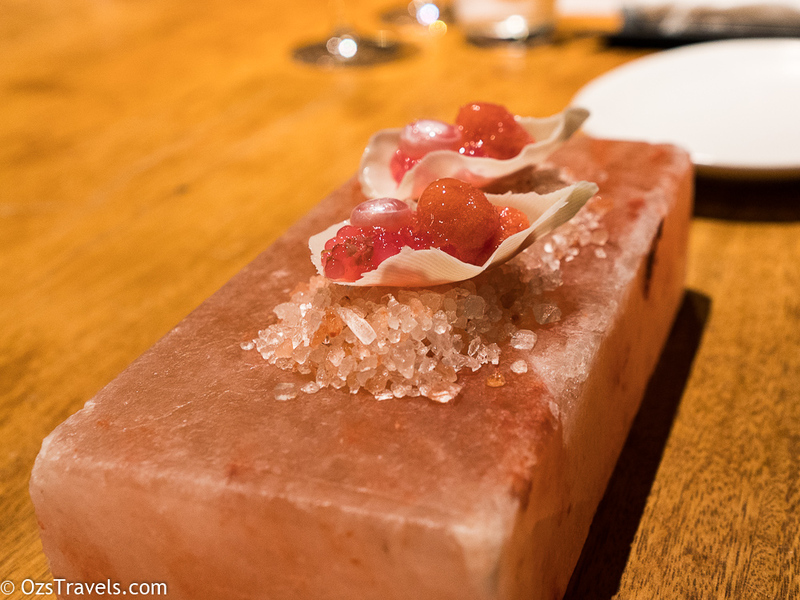 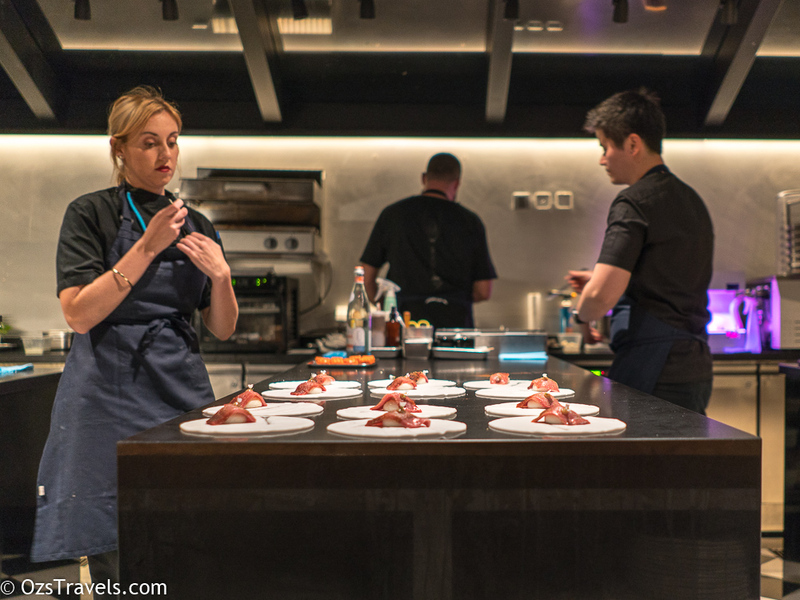 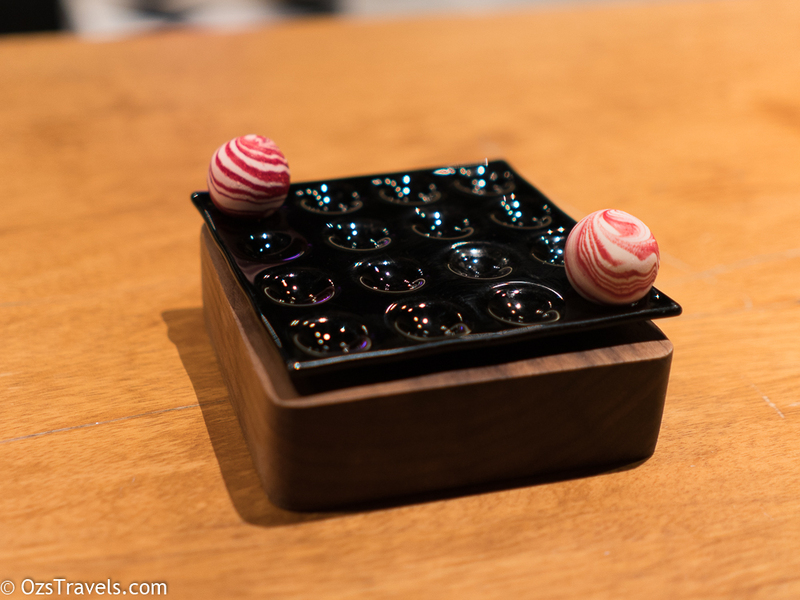 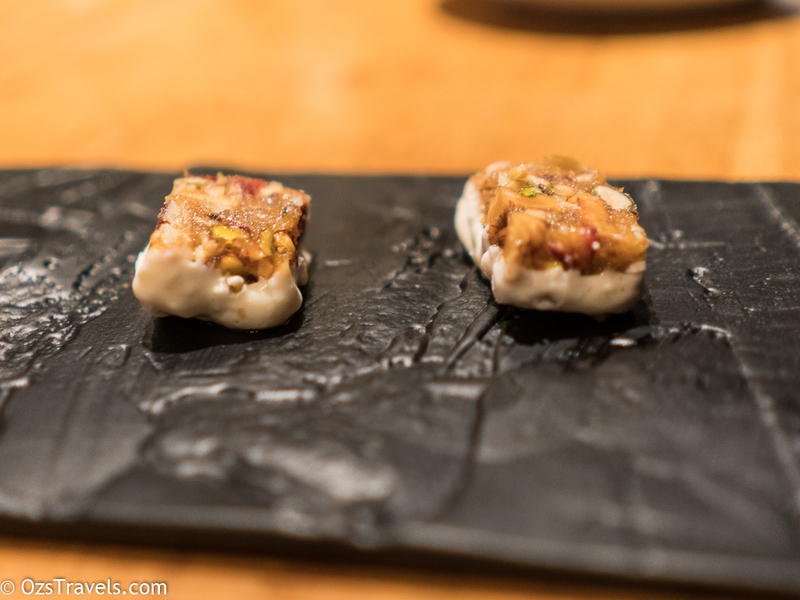 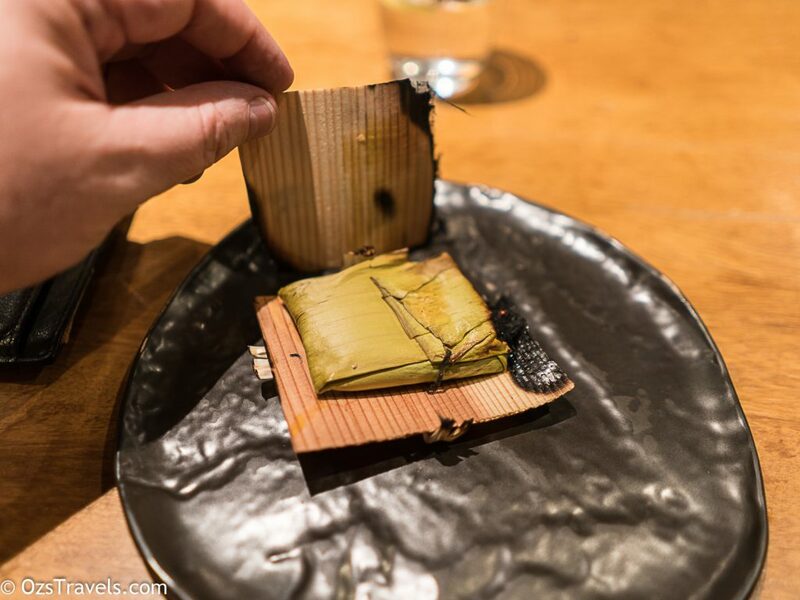 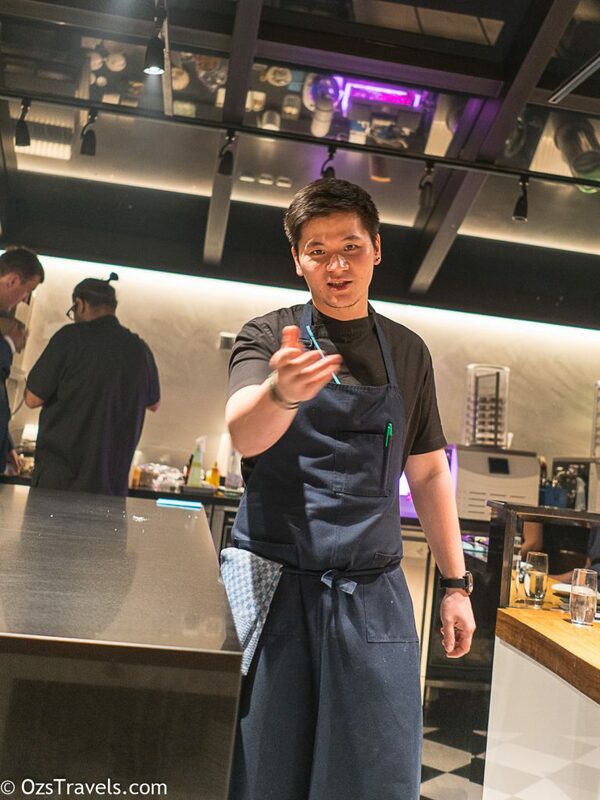 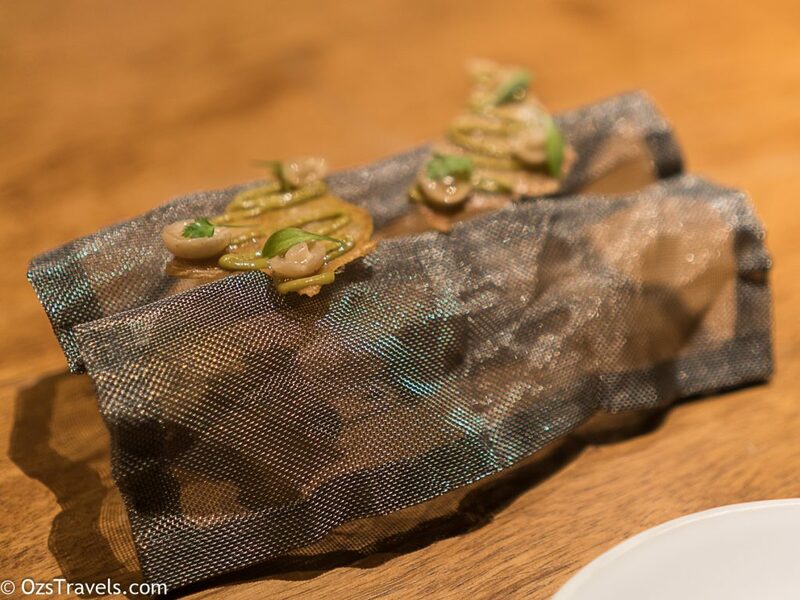 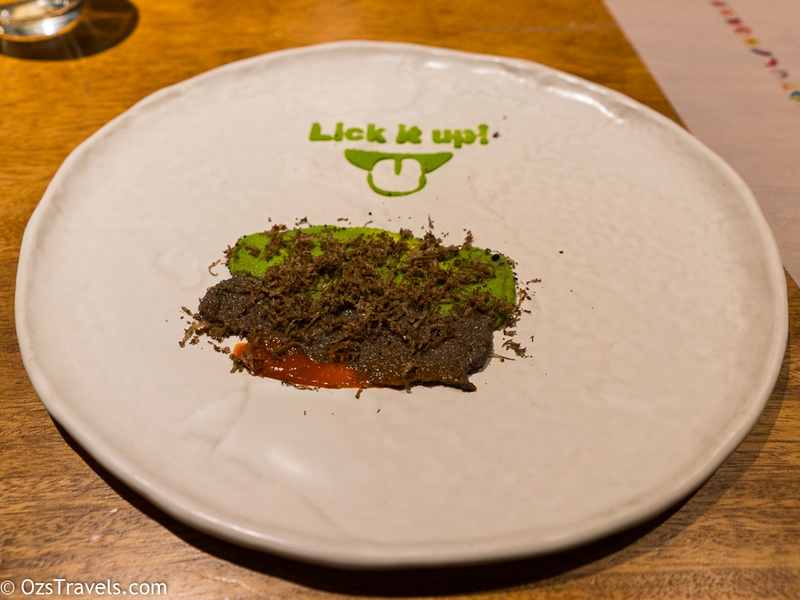 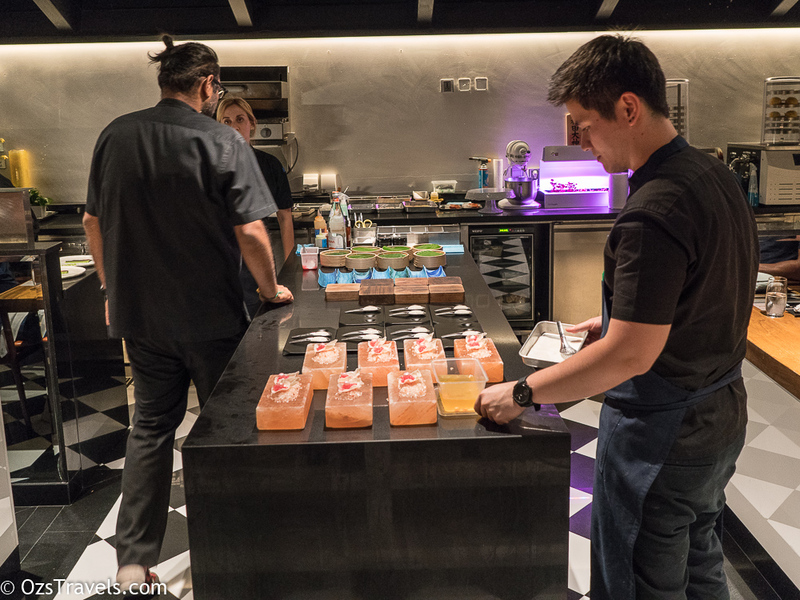 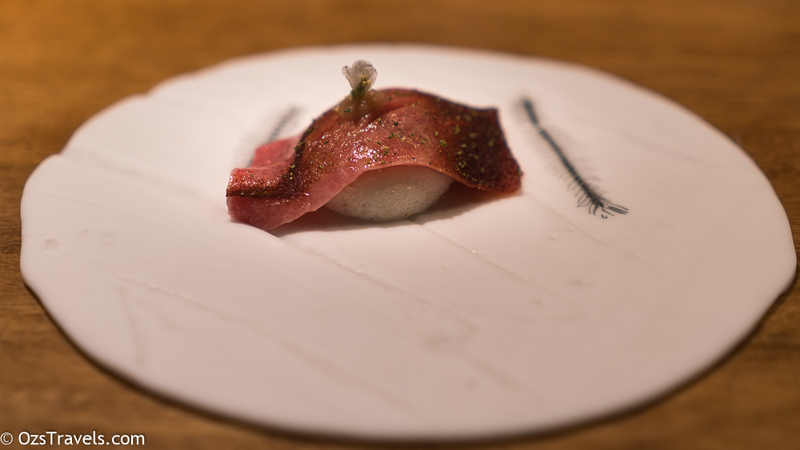 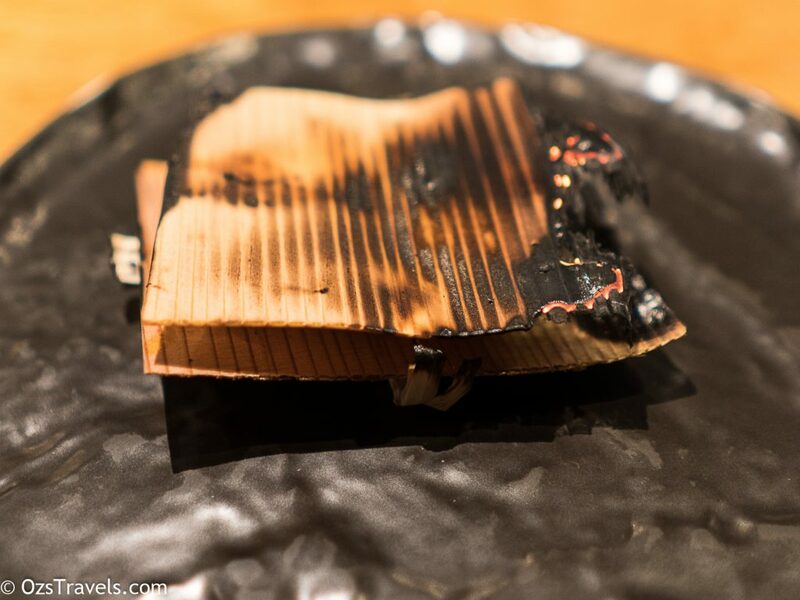 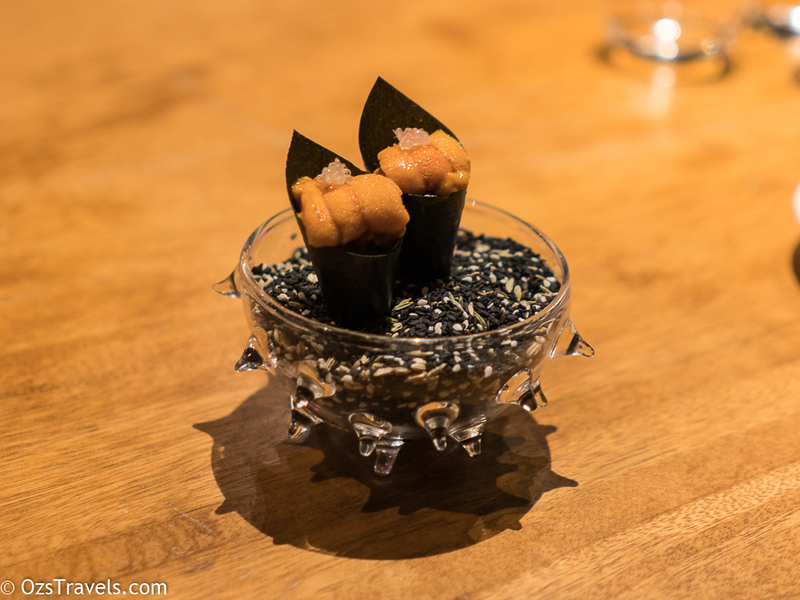 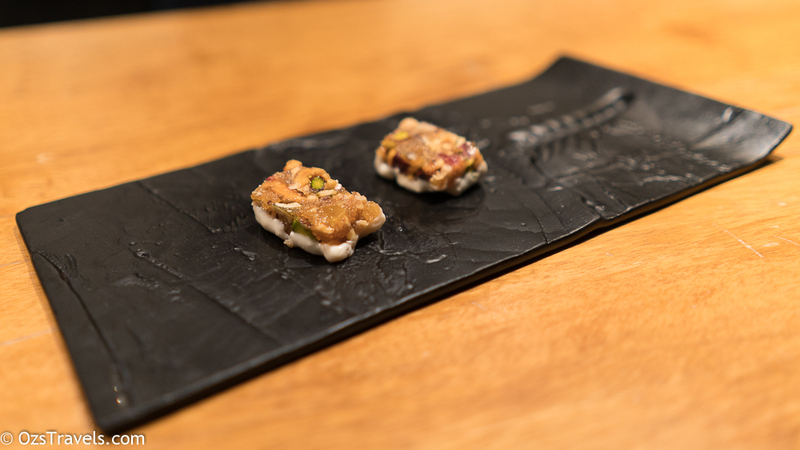 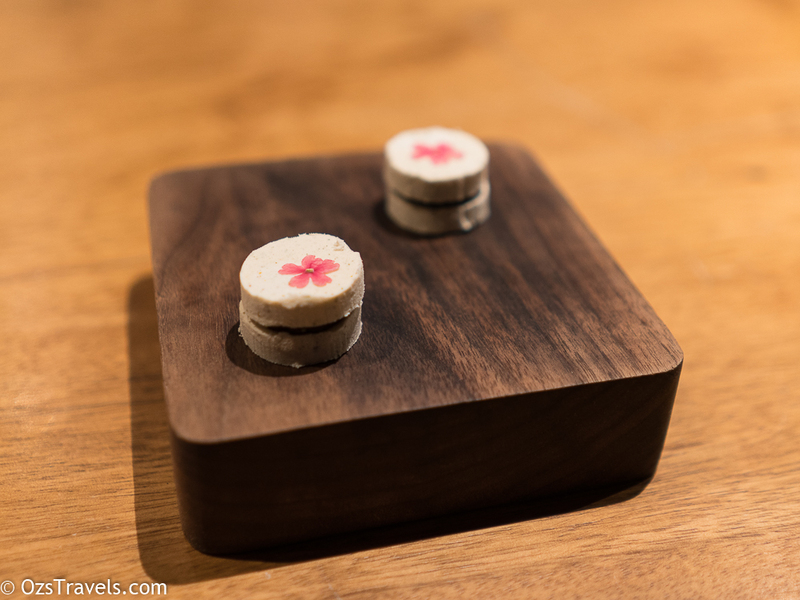 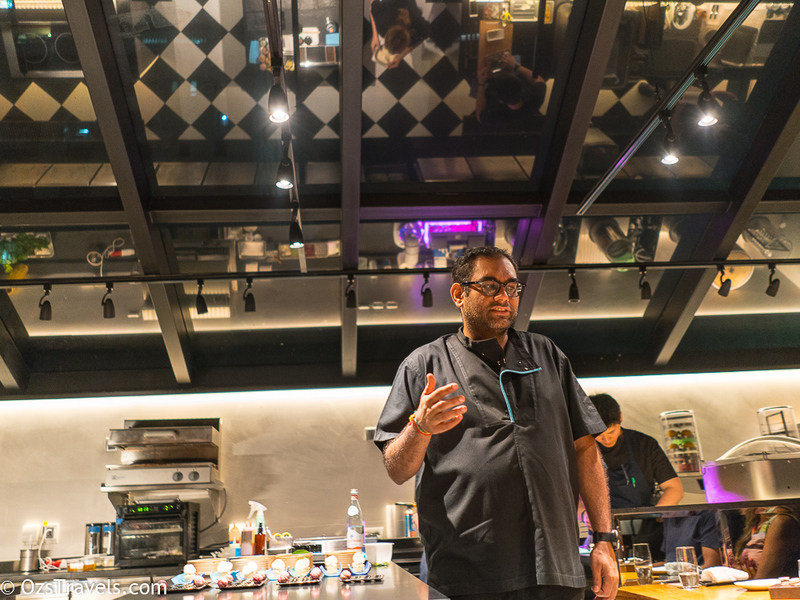 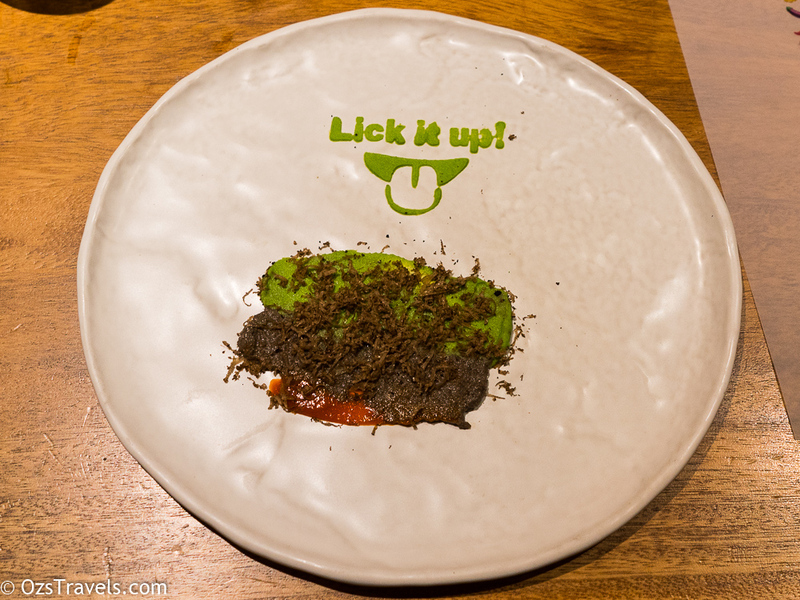 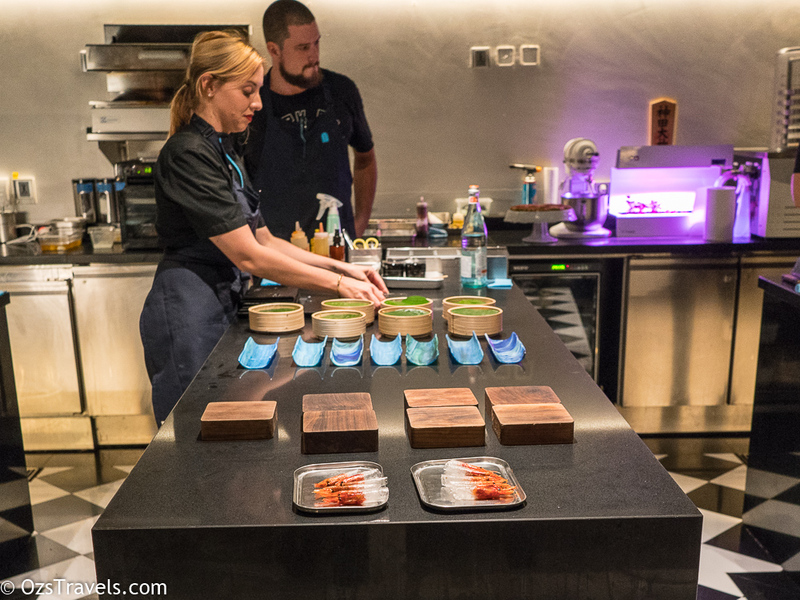 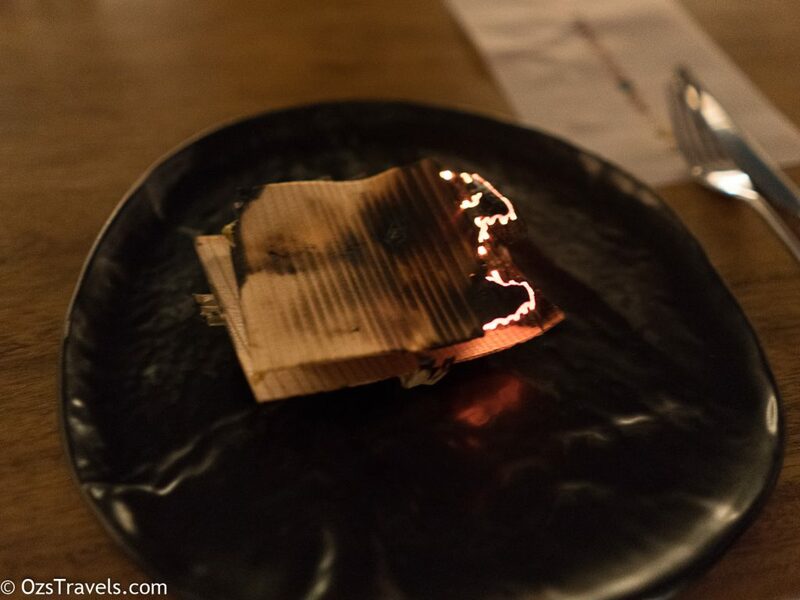 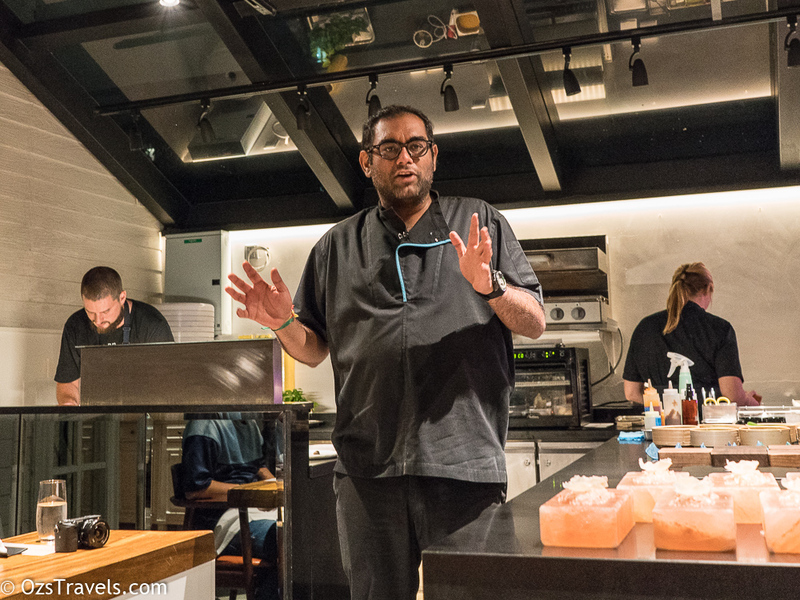 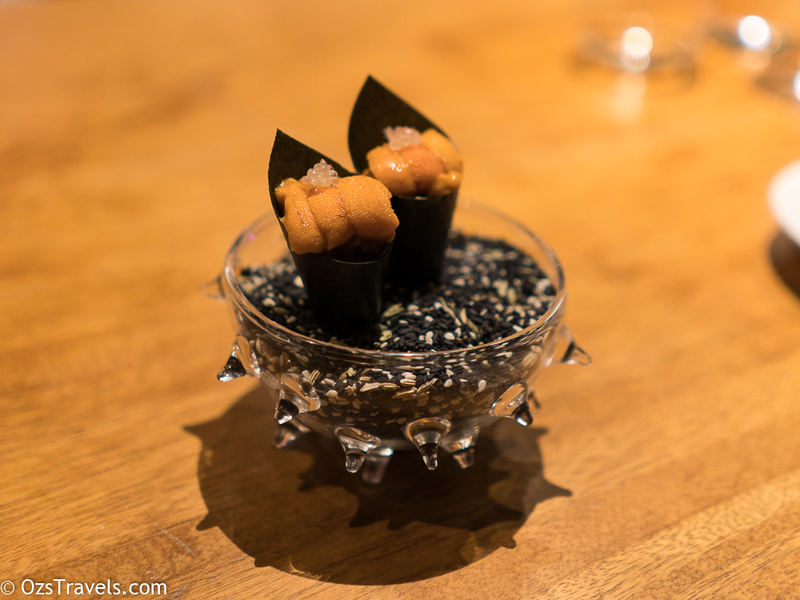 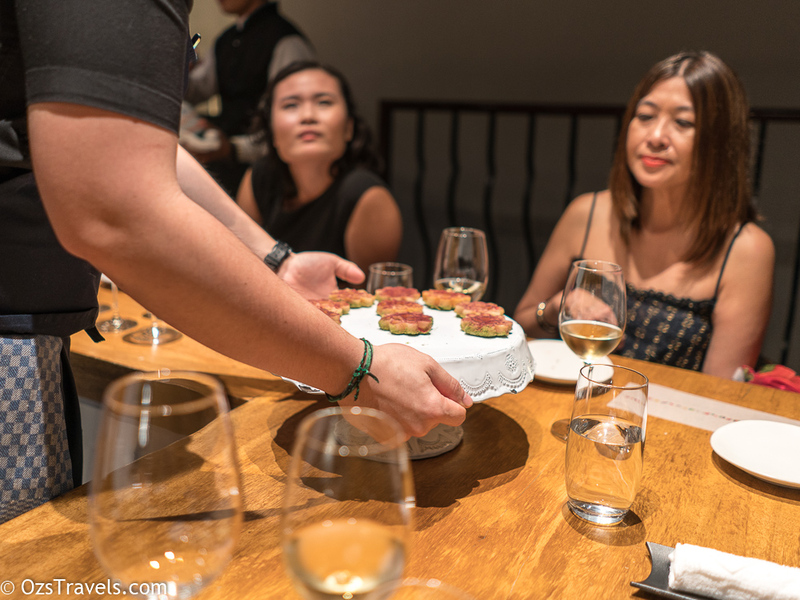 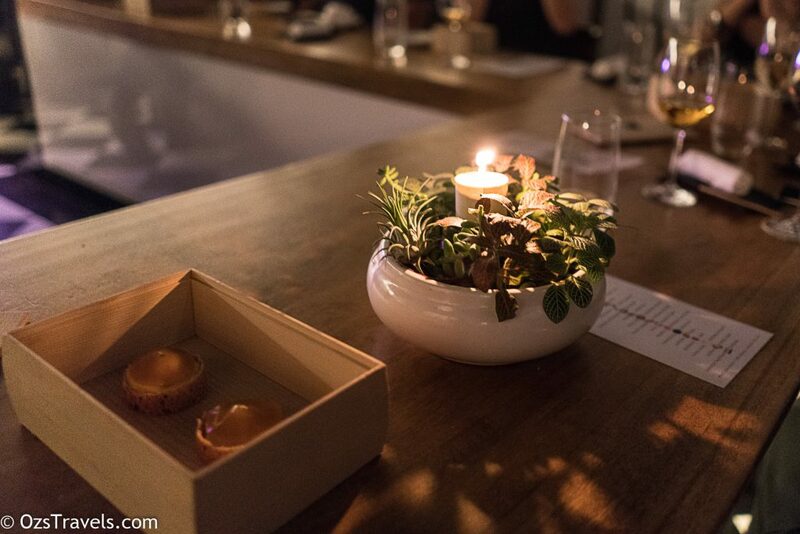 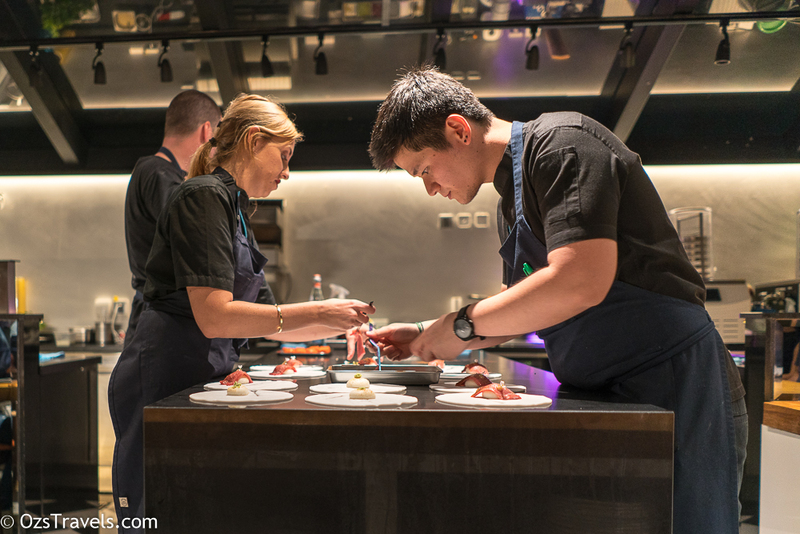 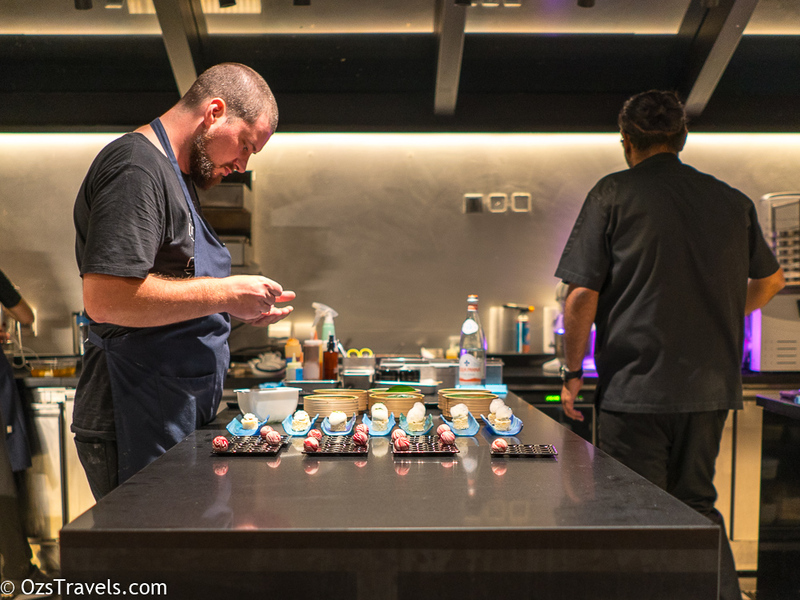 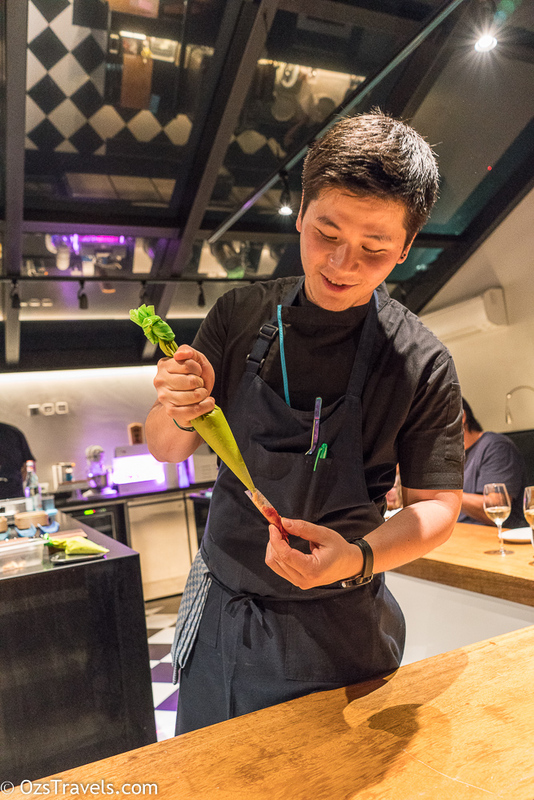 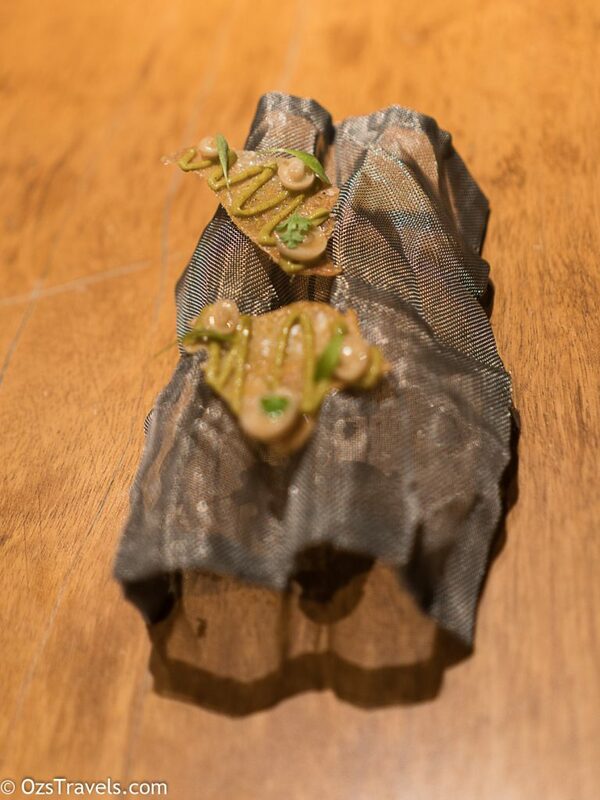 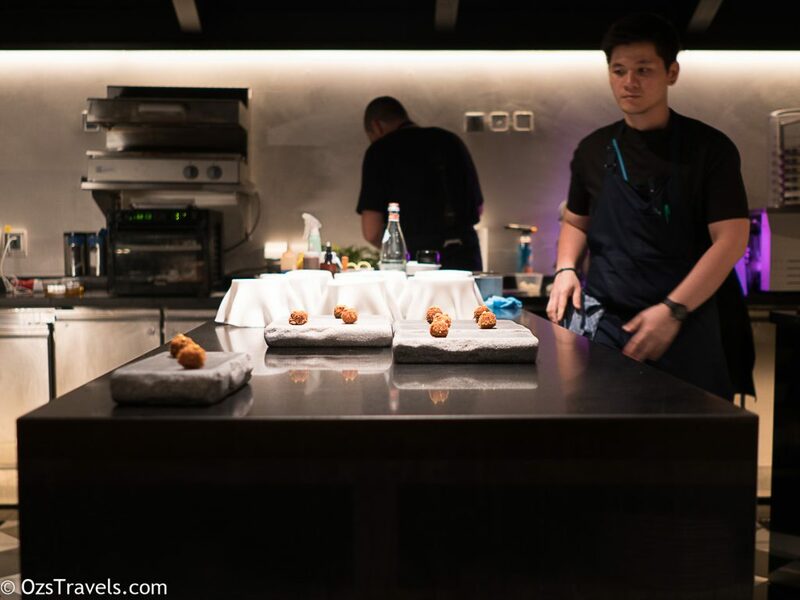 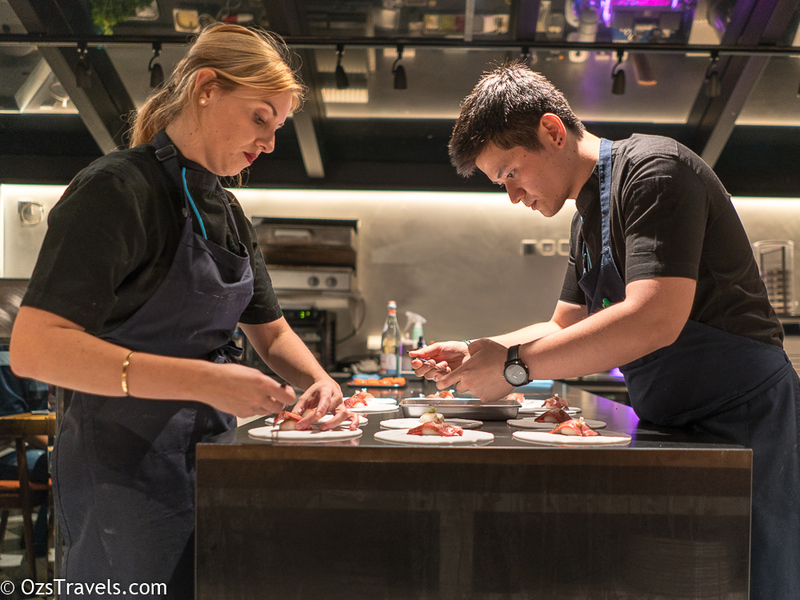 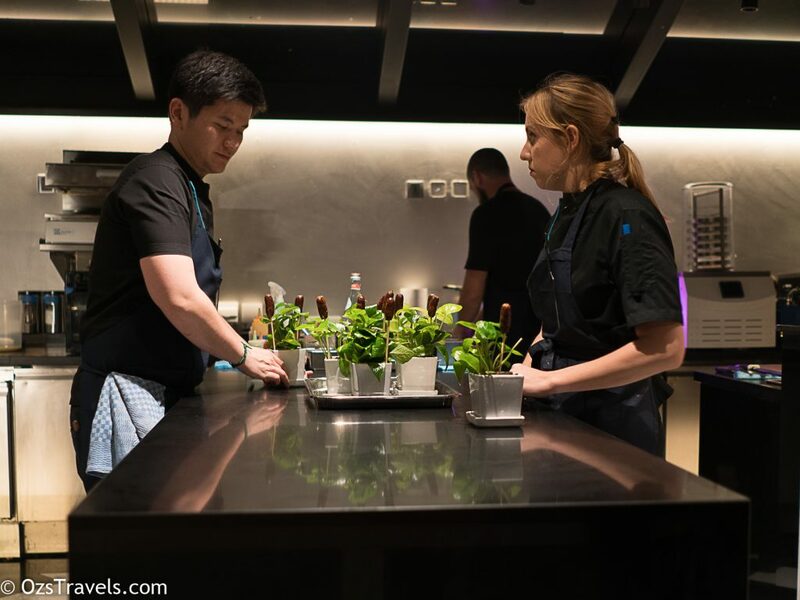 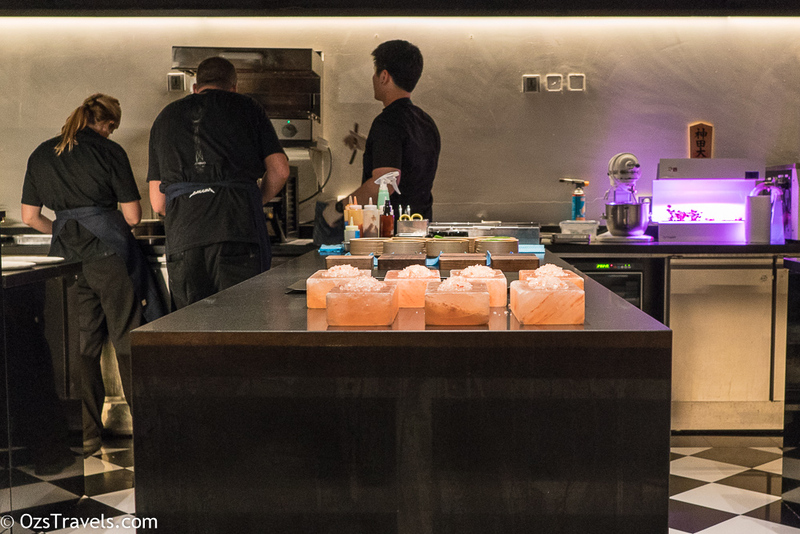 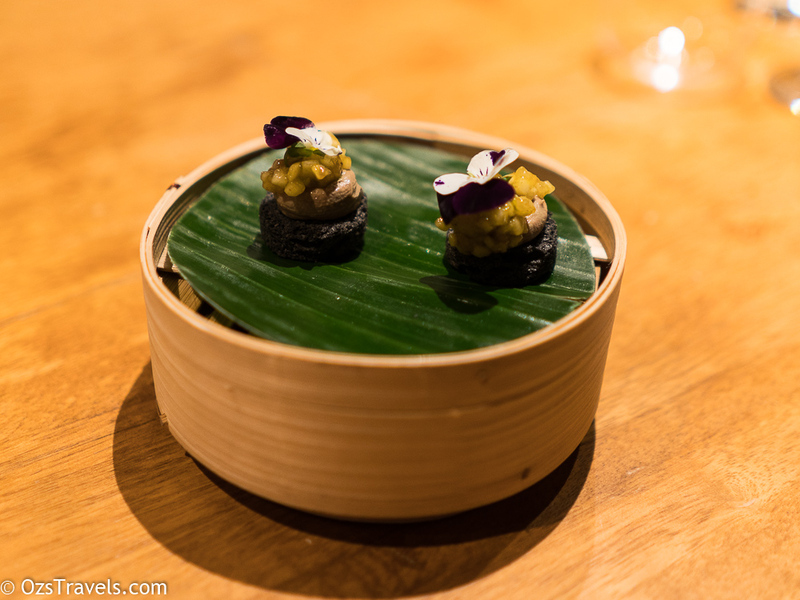 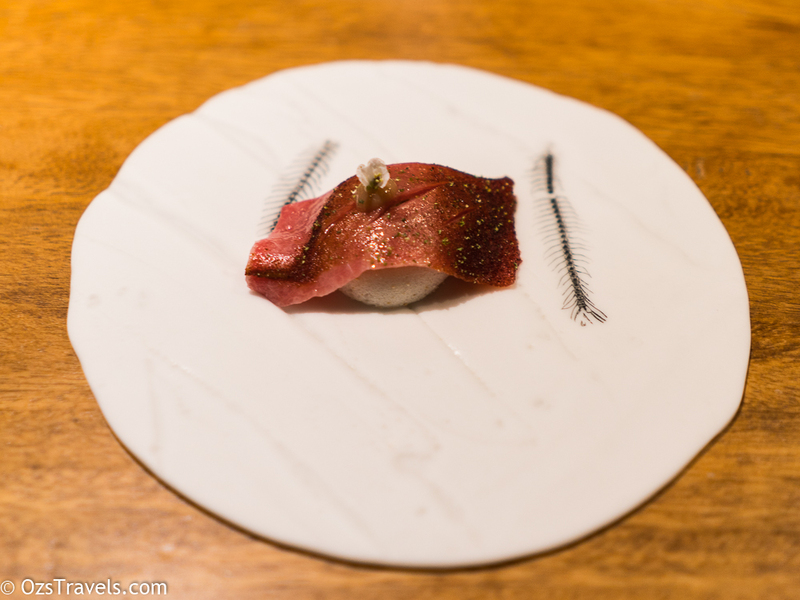 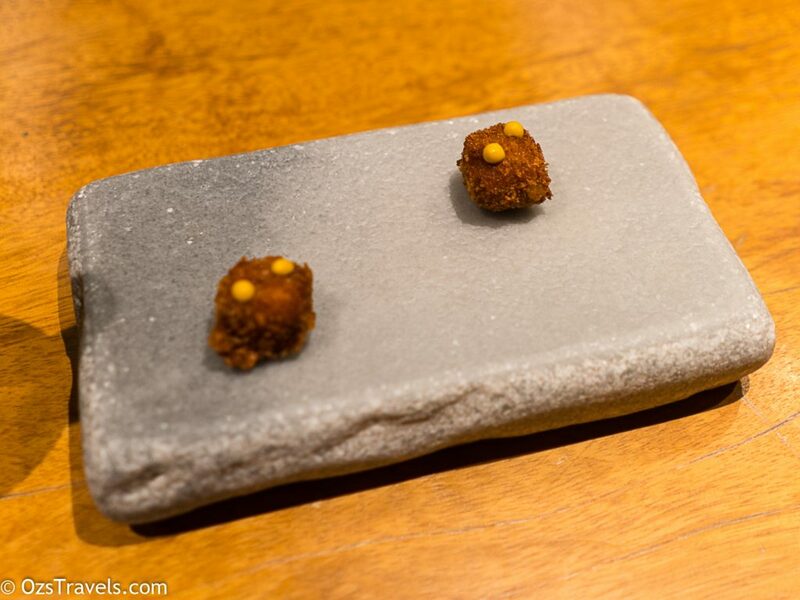 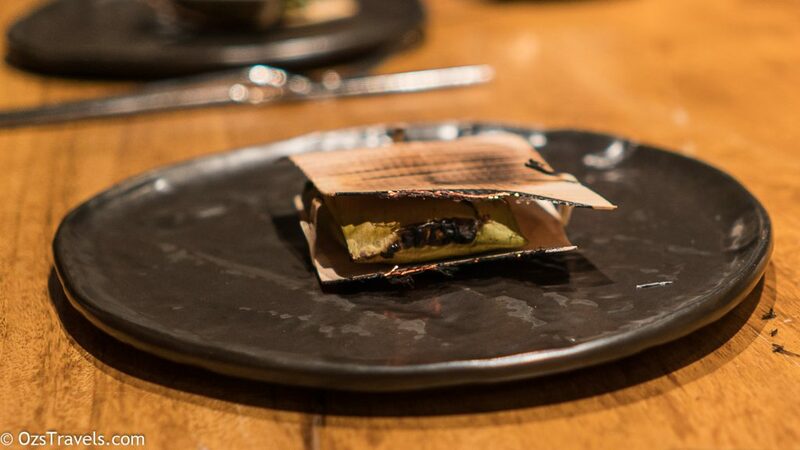 The meal is an expedition each dish another stop on the itinerary, each time I visit there is something else to experience and I will keep returning every few months or so until Gaggan closes in 2019 or 2020. 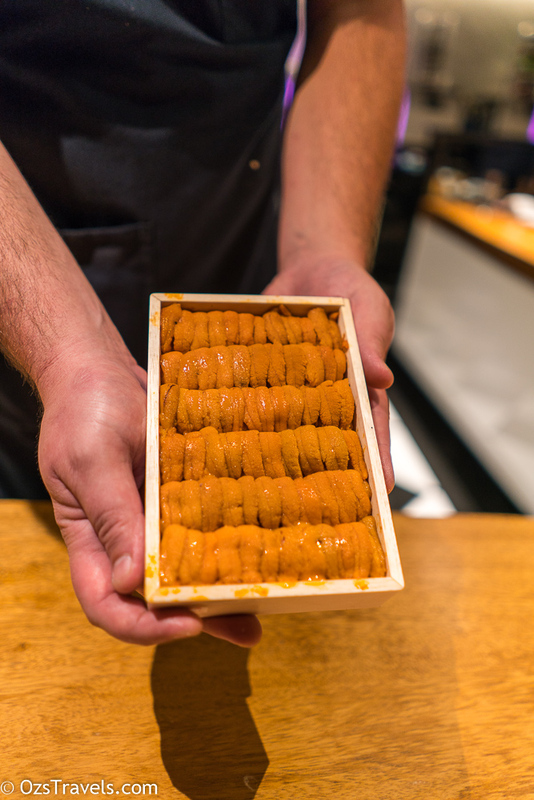 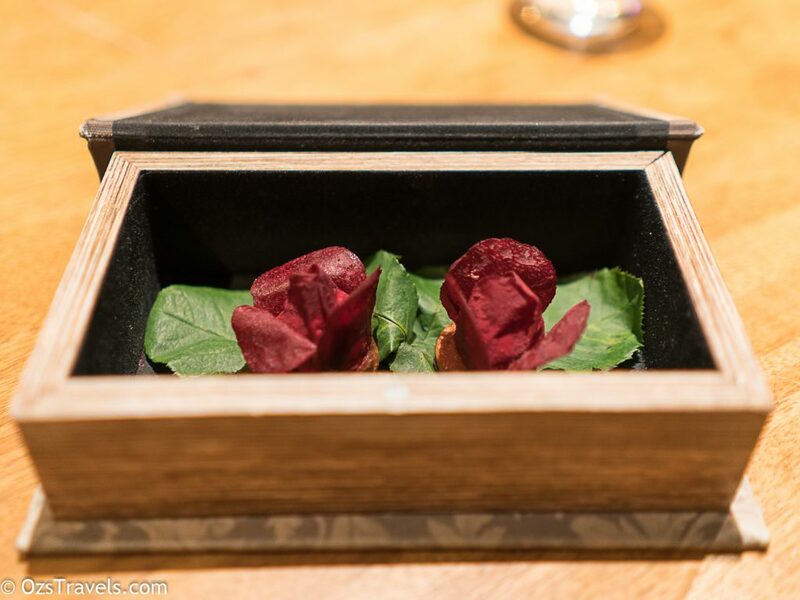 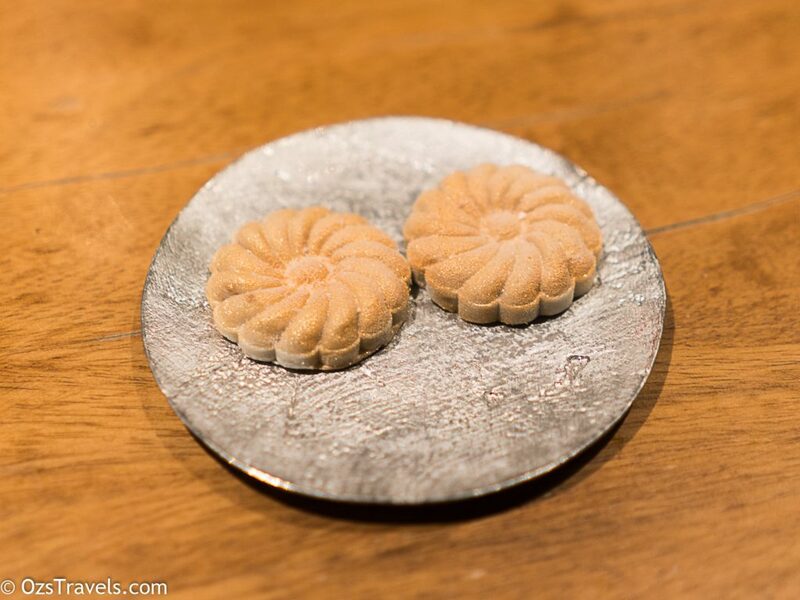 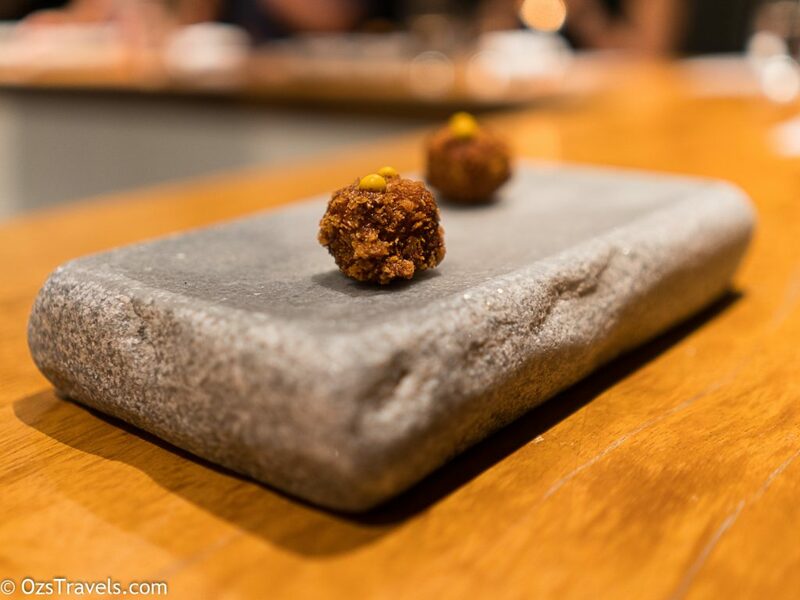 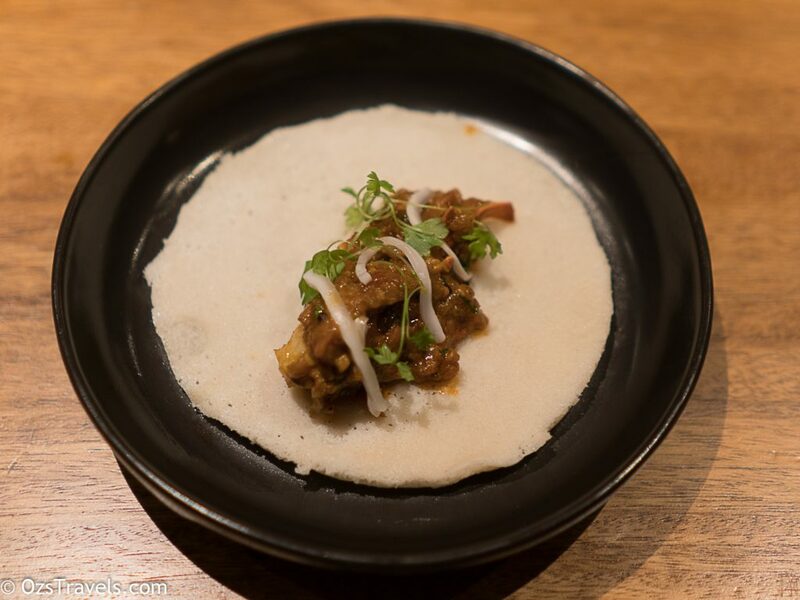 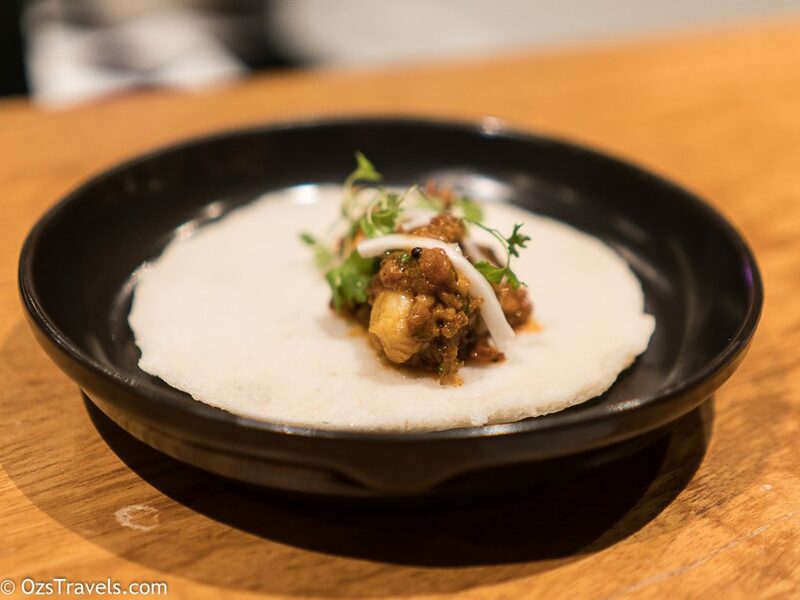 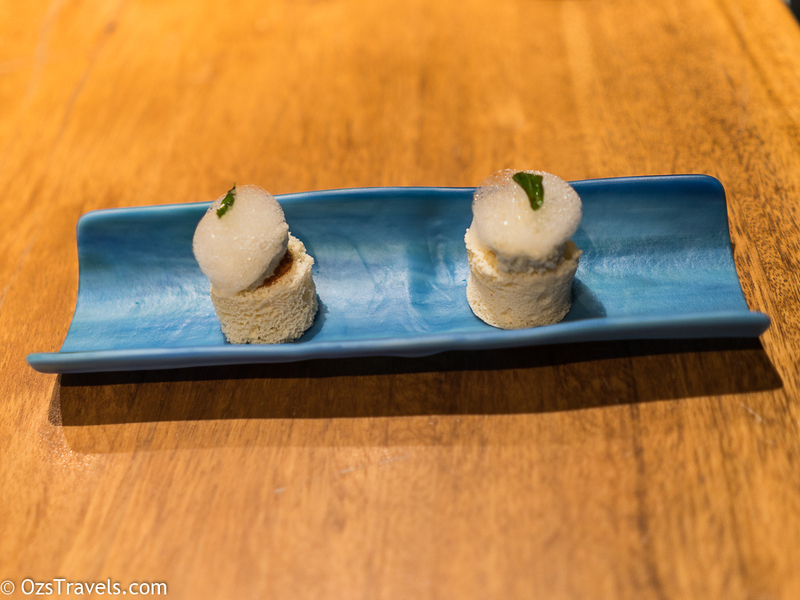 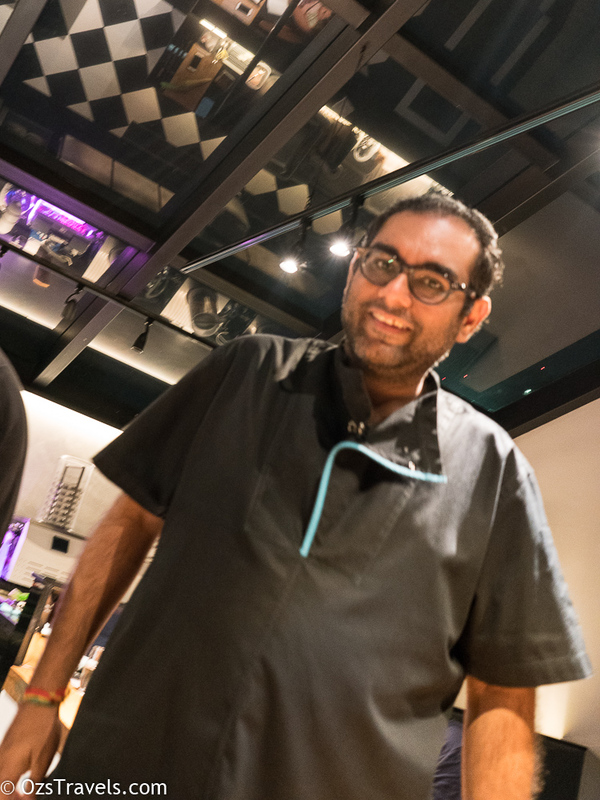 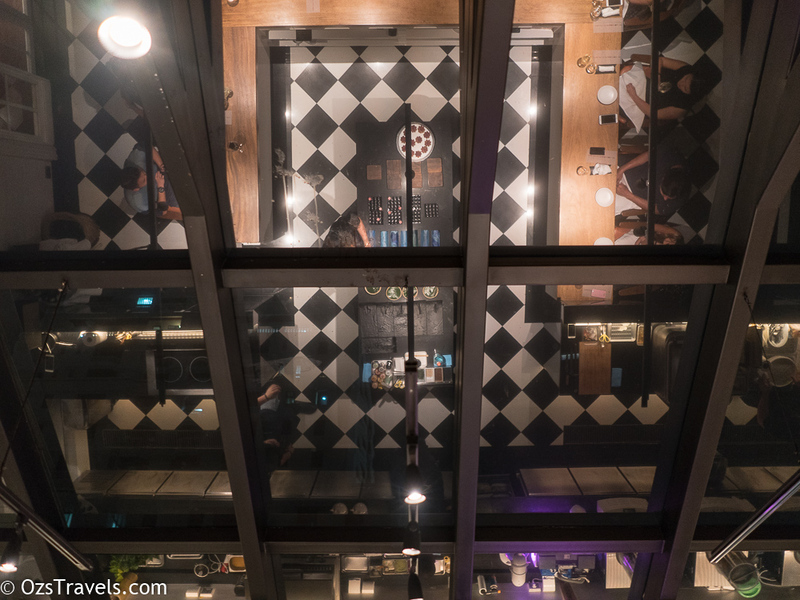 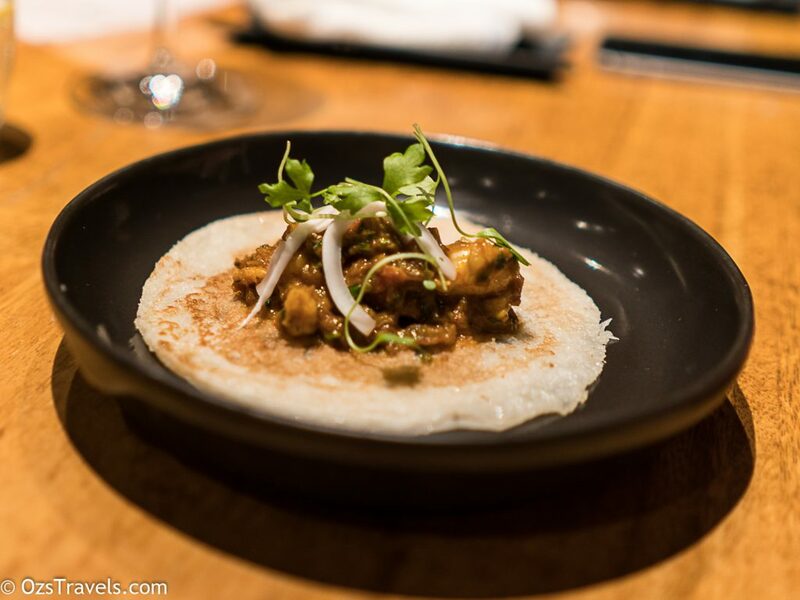 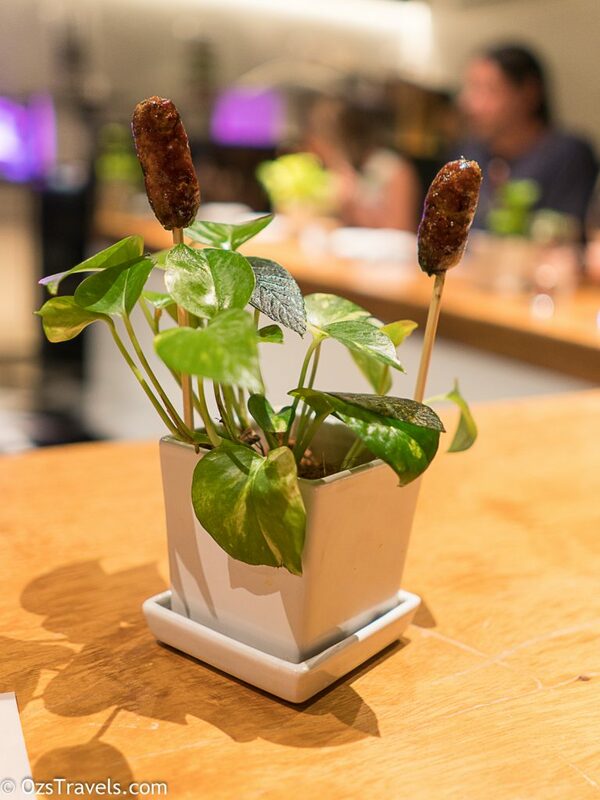 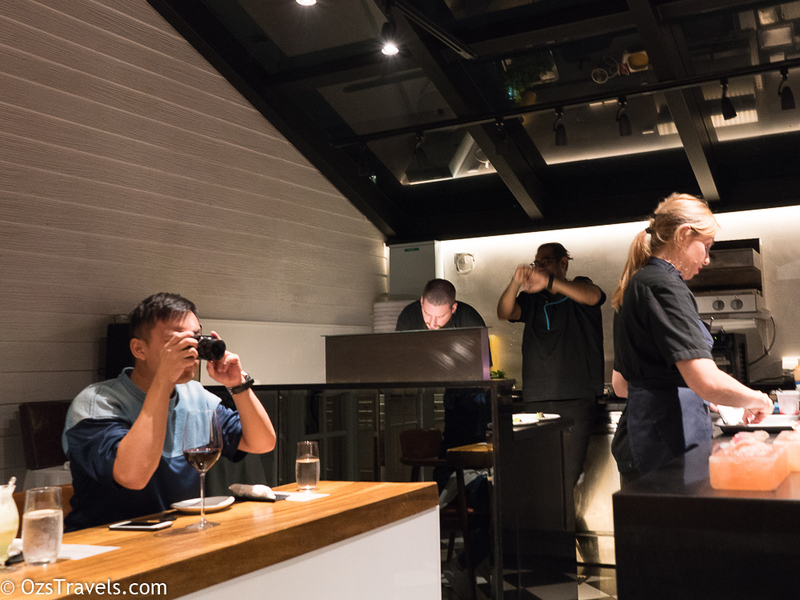 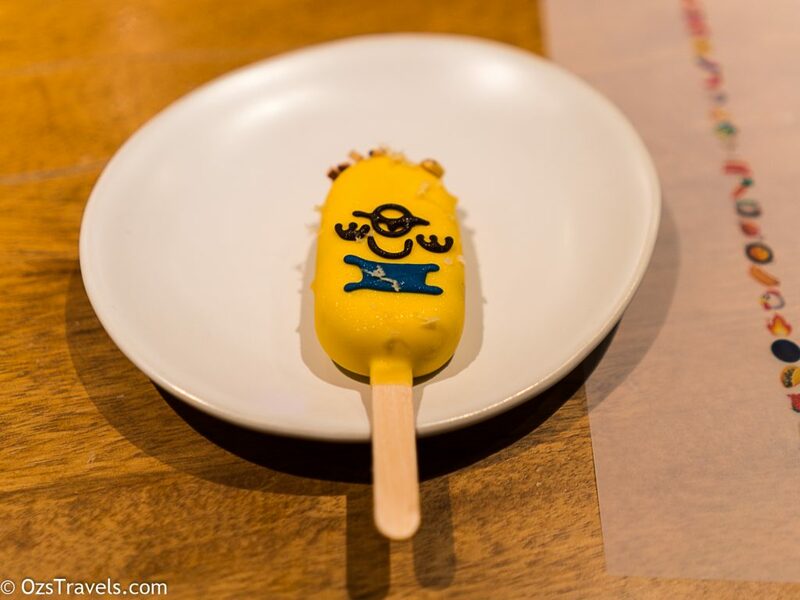 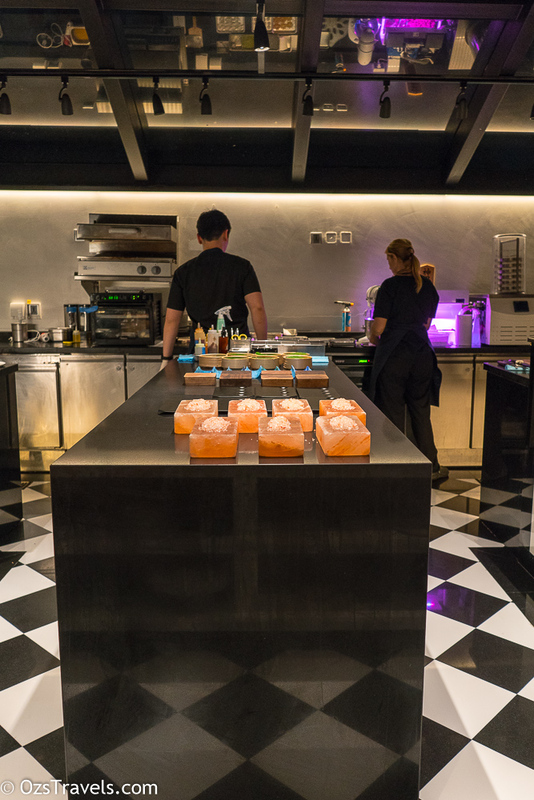 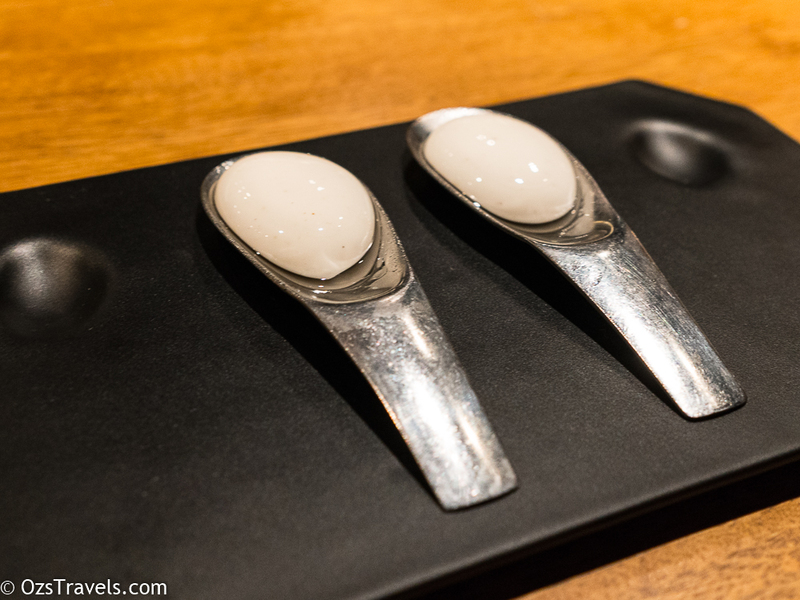 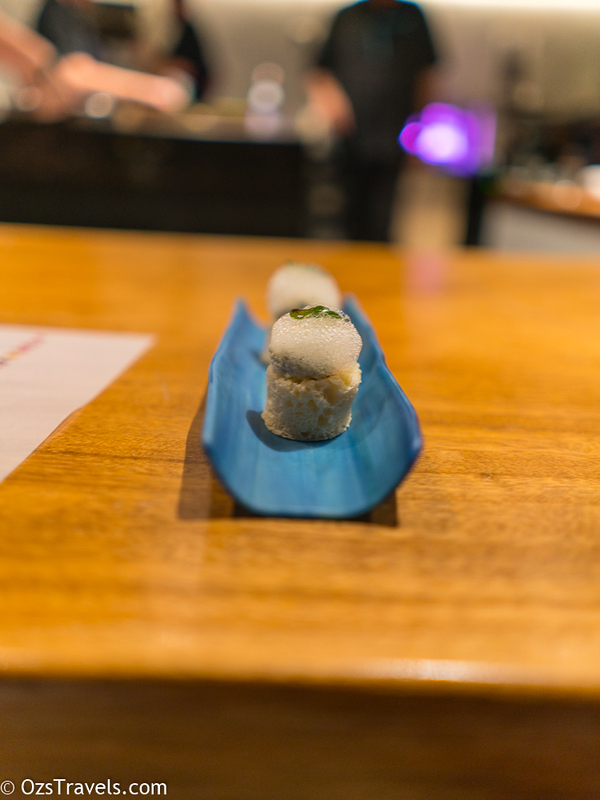 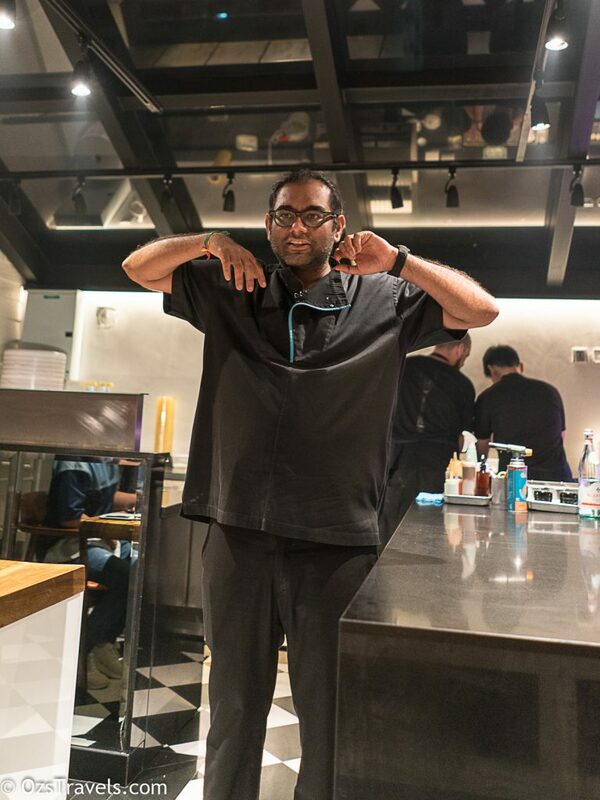 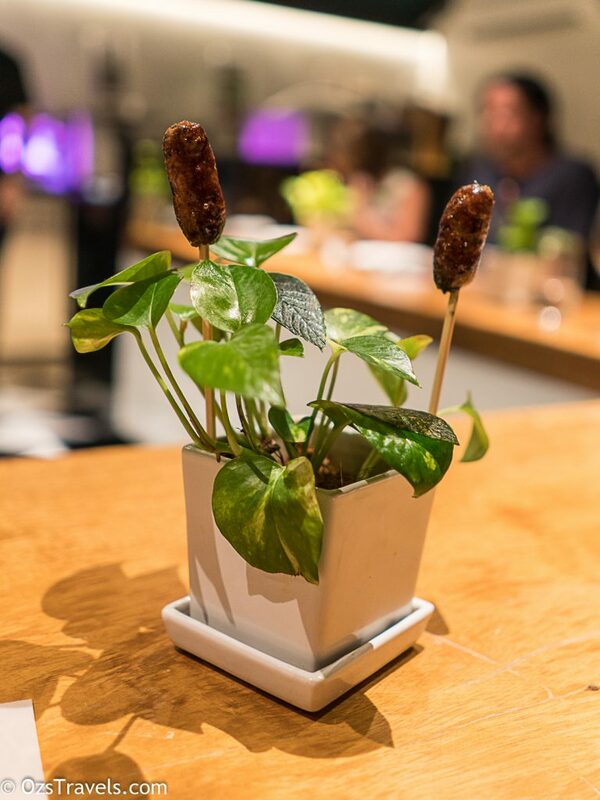 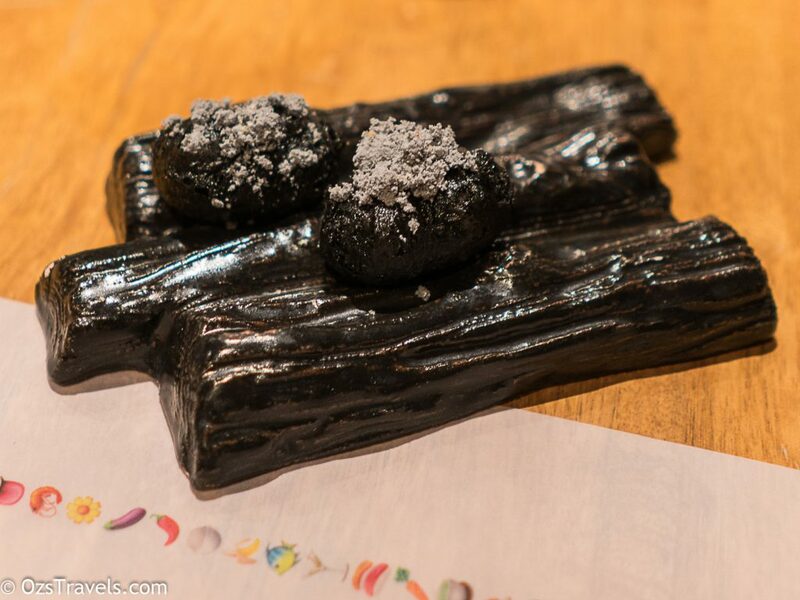 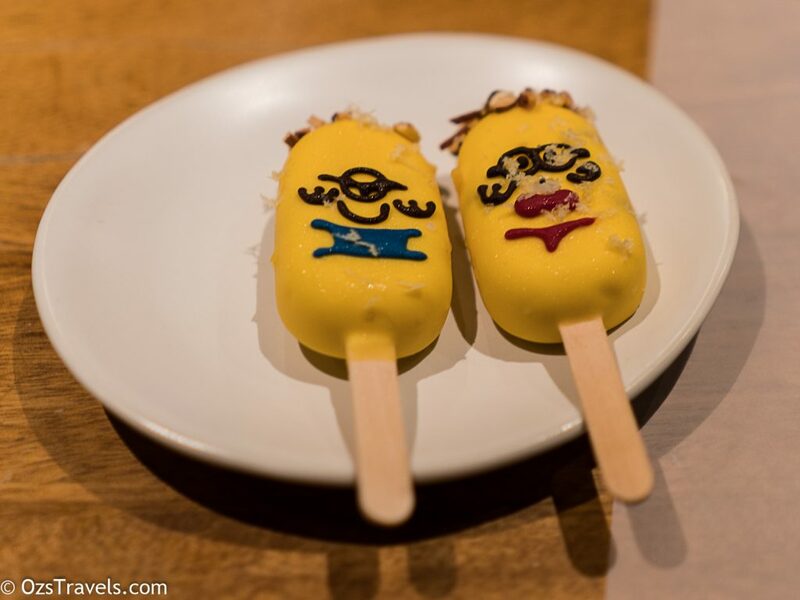 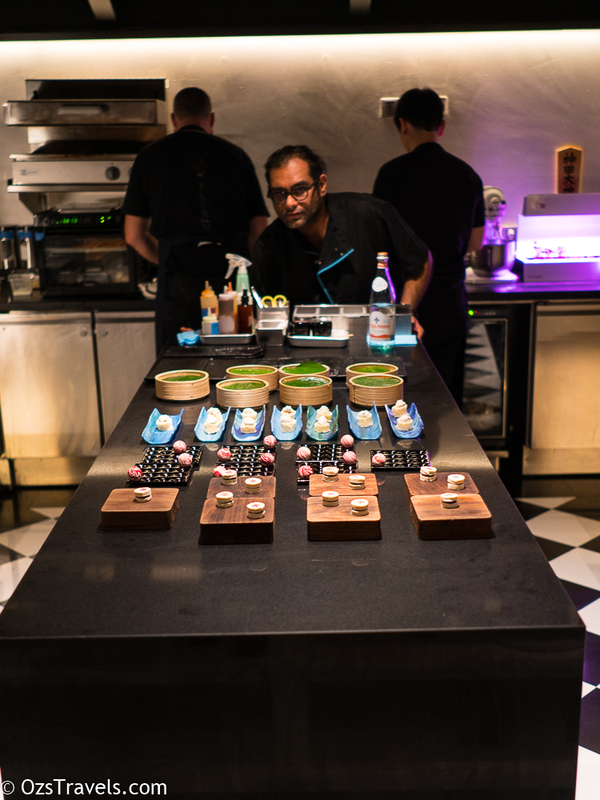 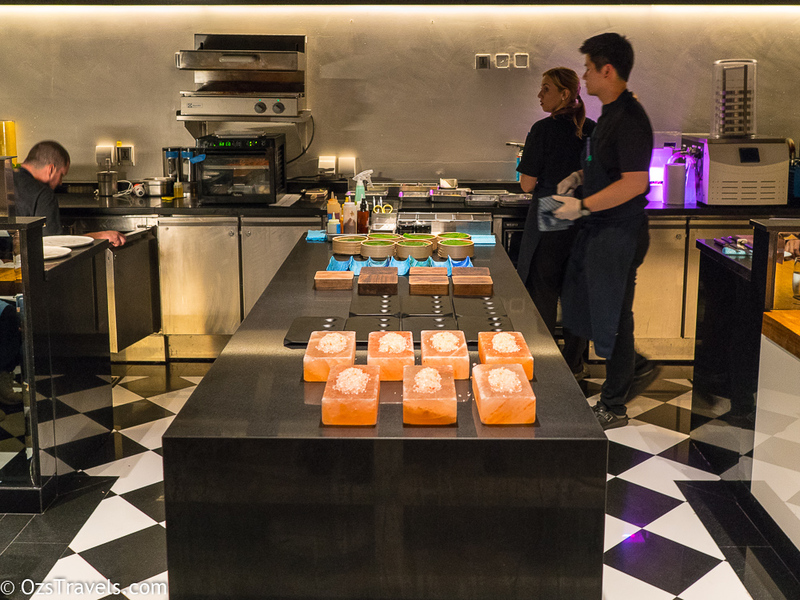 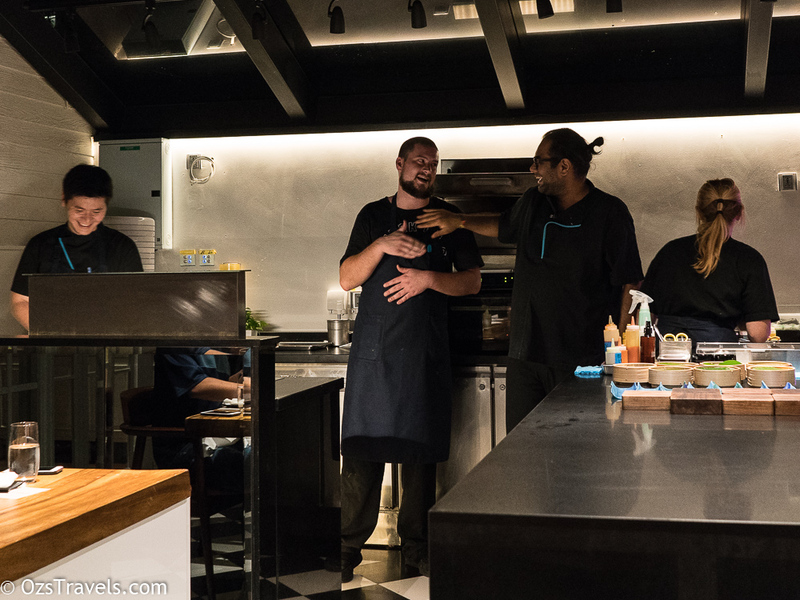 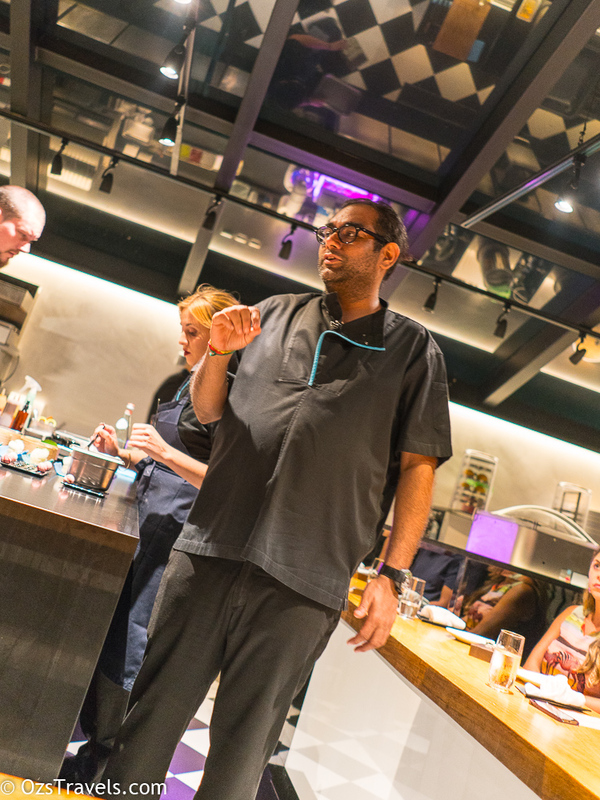 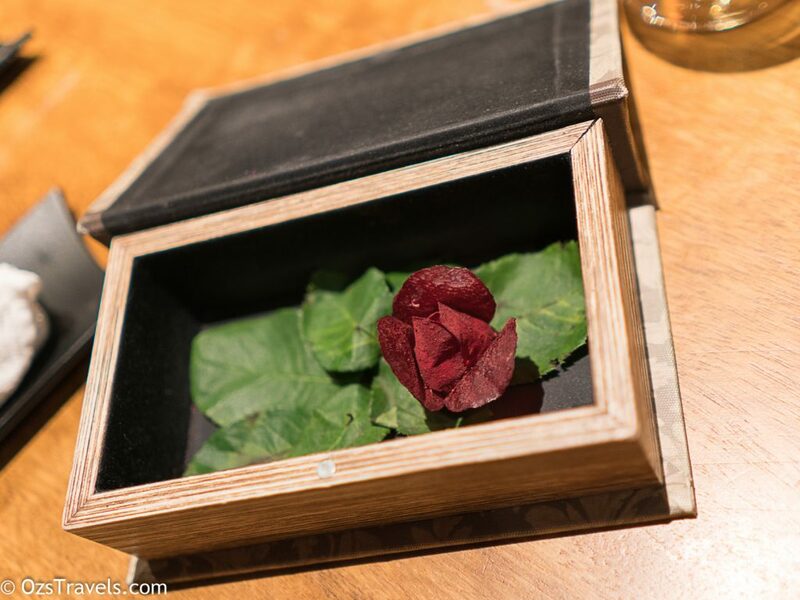 One of the great things about Gaggan is that you definitely get value for money dining there considering its status within the restaurant world. 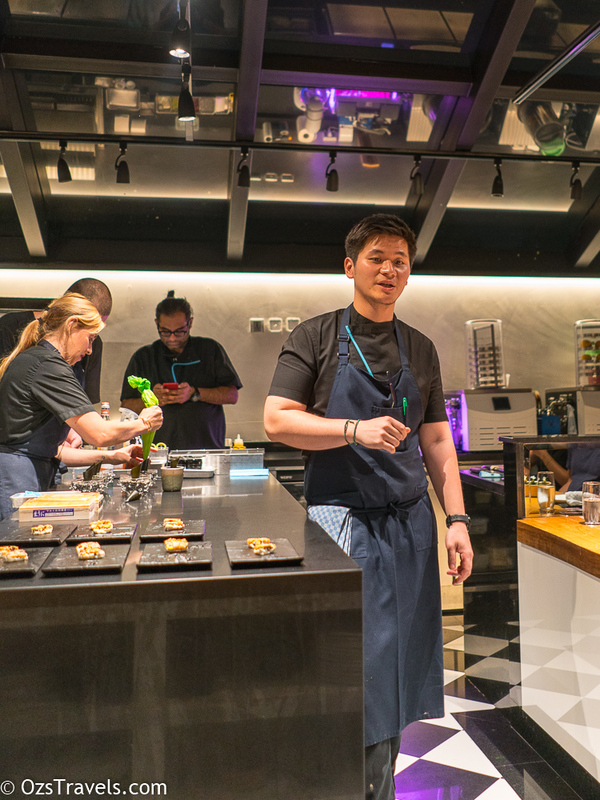 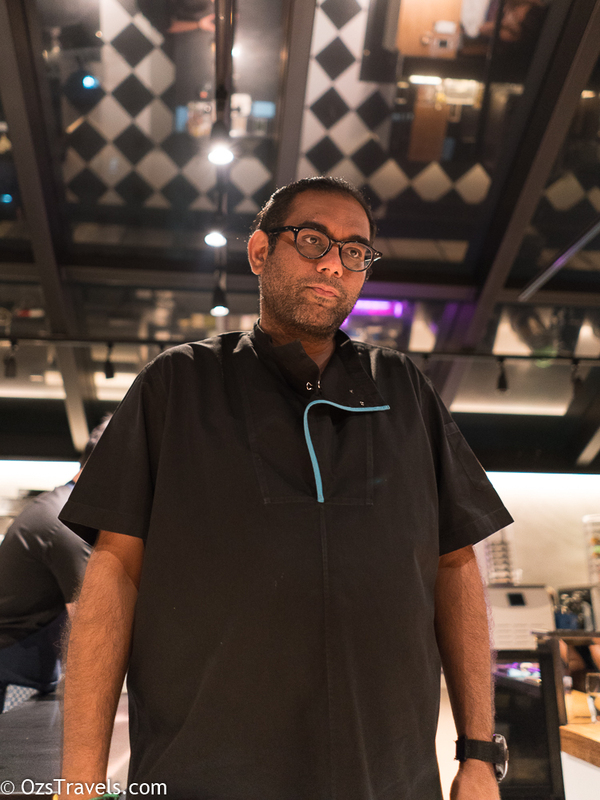 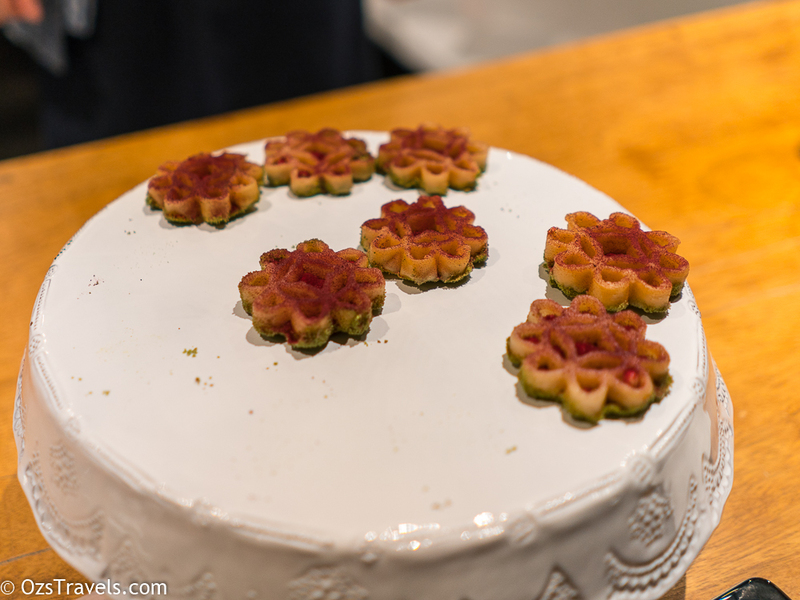 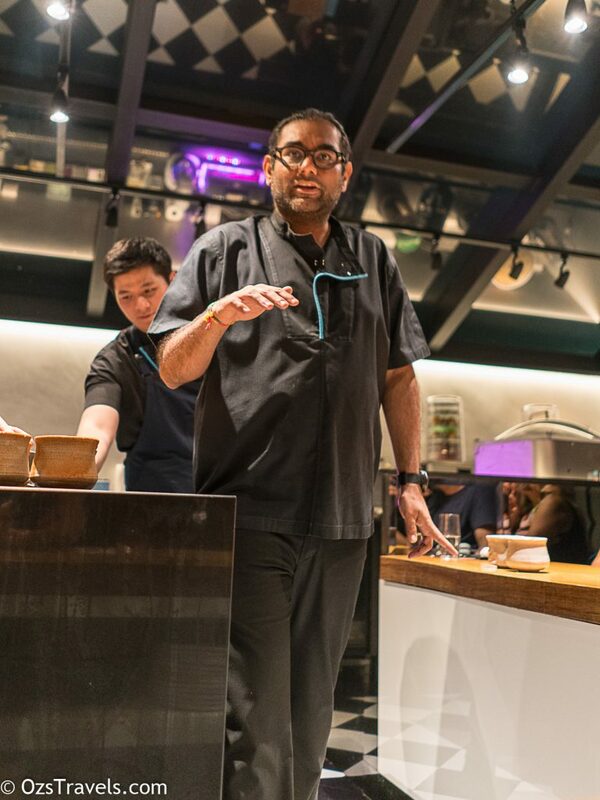 Gaggan was awarded to 2 Michelin Stars on 06 Dec 2017 in Bangkok’s first Michelin Star Awards, only two restaurants received 2 Stars, none received 3 Stars. 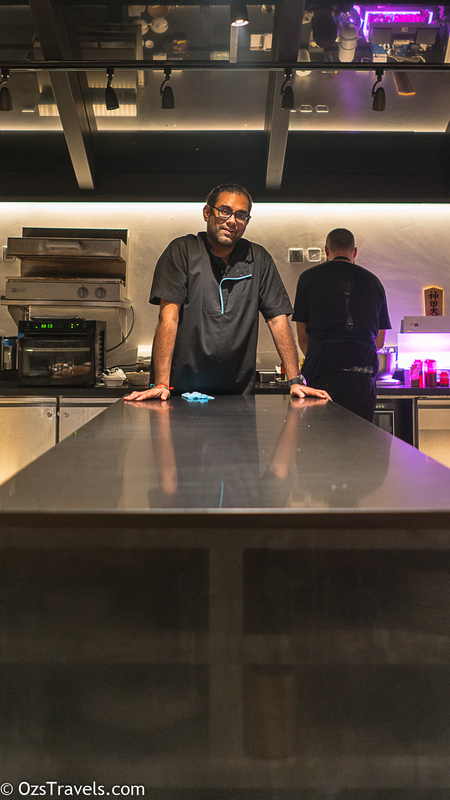 Gaggan is also rated by San Pellegrino as the number 1 restaurant in Asia number 7 globally in 2017.